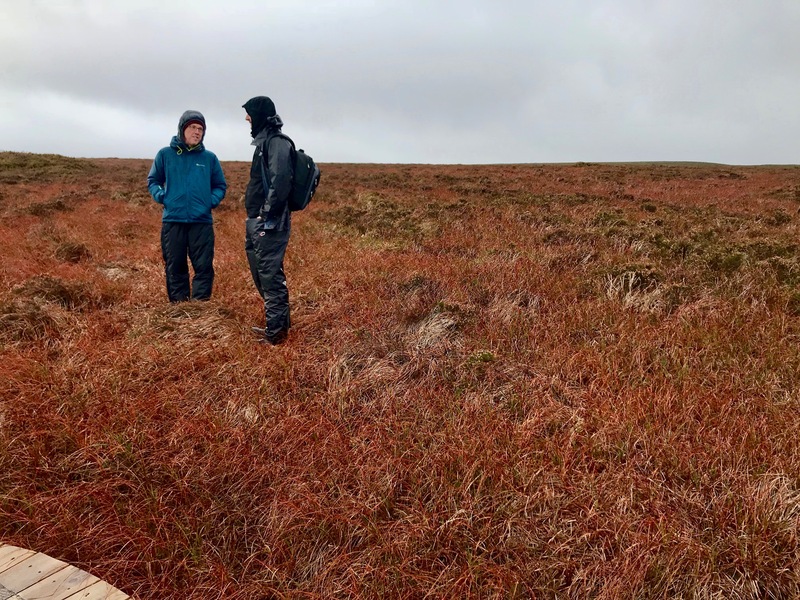 As a Fulbright-National Geographic Fellow, I am bringing a soil geographer's eye to Irish bogs and asking: how have bogs shaped Irish culture and how are the Irish impacting their bogs? 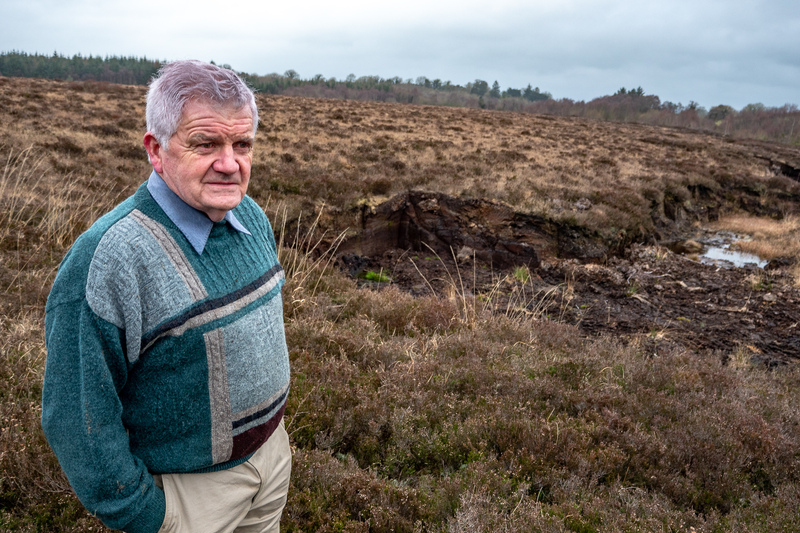 Is Ireland protecting precious peatland links to the past? 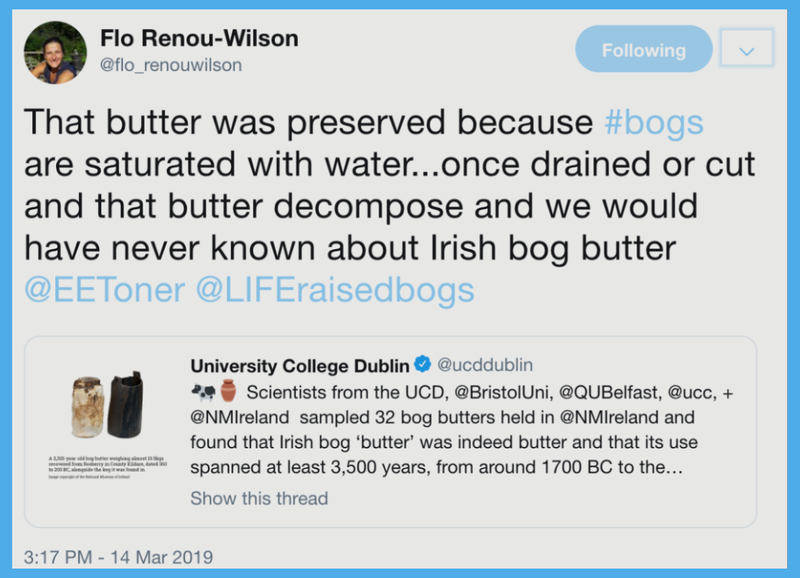 With the special preservative powers of peatlands and the incredible archeological artifacts uncovered in Ireland, like 2,200-year-old human remains and 3,500-year-old butter, some people worry about losing those links to history when bogs are drained for other uses. 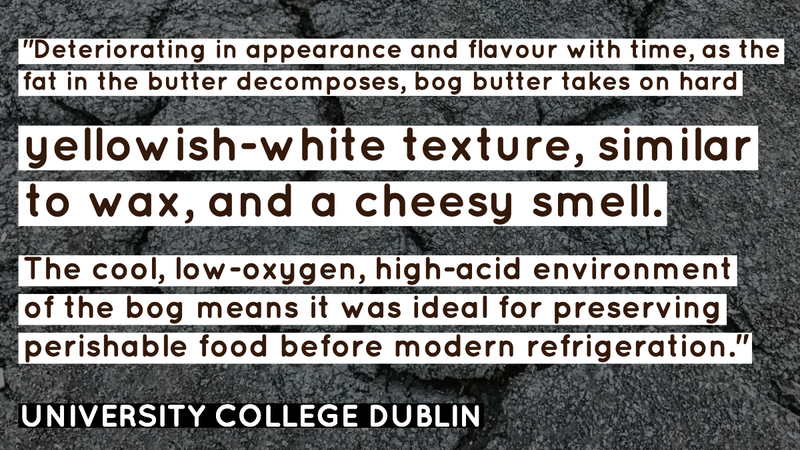 The wet, acidic, oxygen-free conditions of a bog which uniquely preserve organic materials from past societies, like pieces of wood used for building, are vulnerable to decomposition once exposed to air. Some of the most significant wooden structures unearthed in Irish bogs are ancient wooden roads, or trackways. For example, Corlea Trackway in County Longford was excavated and dated to 147 BC. It now has a visitor center where you see the road and learn about its significance. 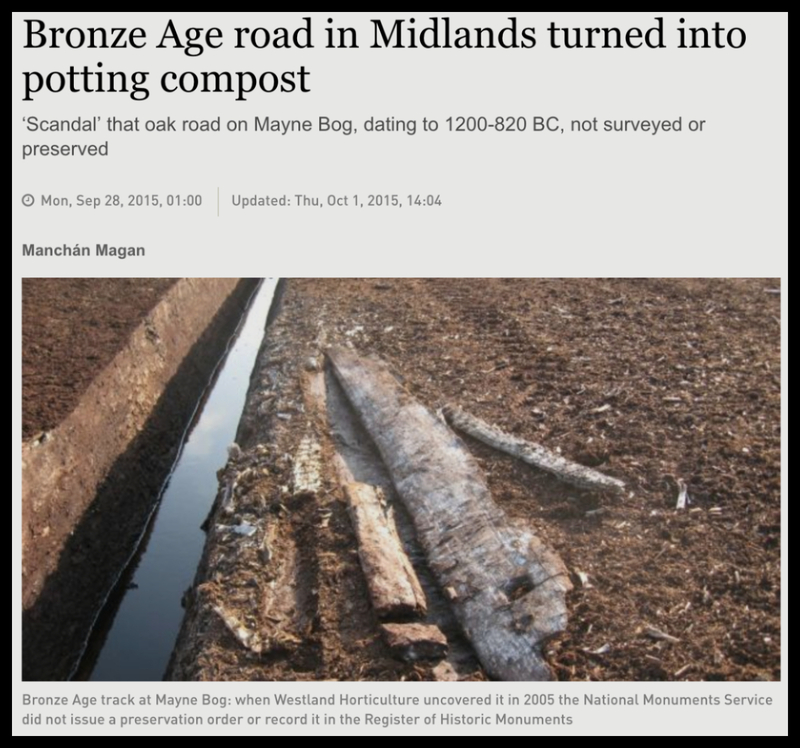 In 2015, The Irish Times featured a story worrying that a 3,000-year-old road discovered in a bog in County Westmeath being drained and harvested for horticultural peat was not properly excavated or respected, losing a unique opportunity to learn about the past. 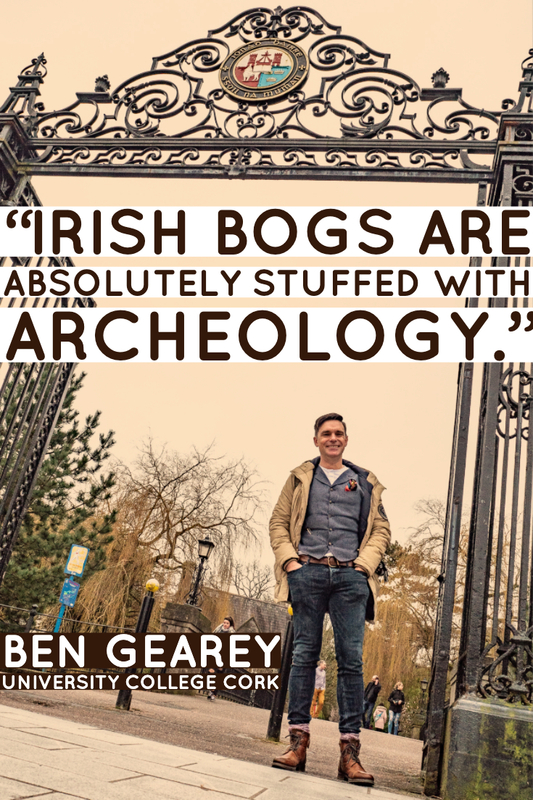 Earlier this year, I met with wetlands archeologist Ben Gearey, based at University College Cork, who shares those concerns that peatlands are drained and exploited without due process for their archeological significance. He explained his worries in the 15-minute talk below, Turf Wars: Politics and Peatland Archaeology in Ireland. From trail walkers, turf cutters and conservationists alike, I’ve heard comments about the quality of air on the bog. 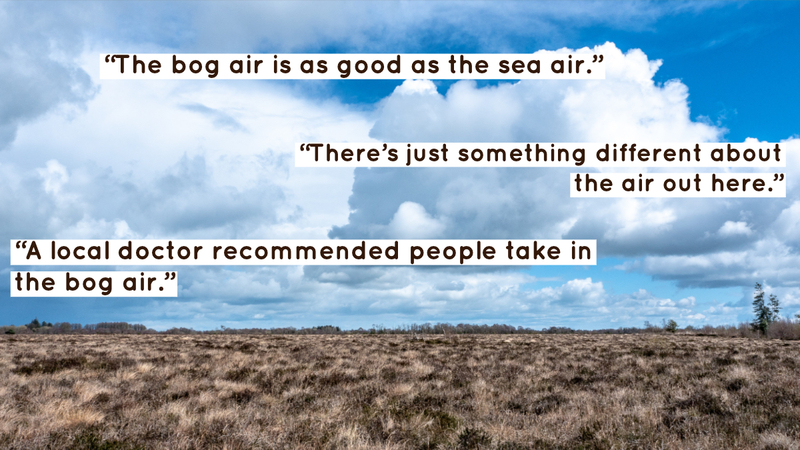 Whether people breathe it while exercising, cutting peat, or measuring carbon fluxes, there seems to be a mutual appreciation for bog air. 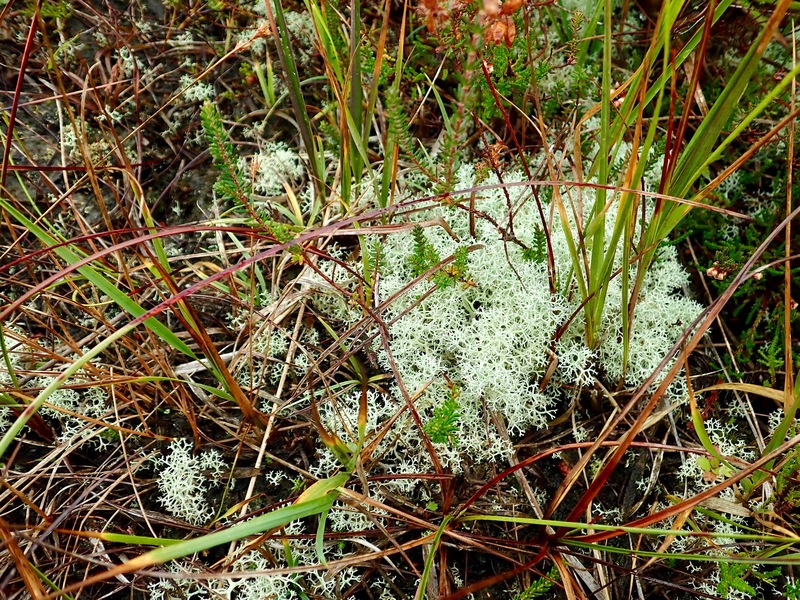 The bog air might prove easier to agree upon than the bog soil, a carbon rich resource that turf cutters large and small continue burn and climate change concerned individuals long to conserve. 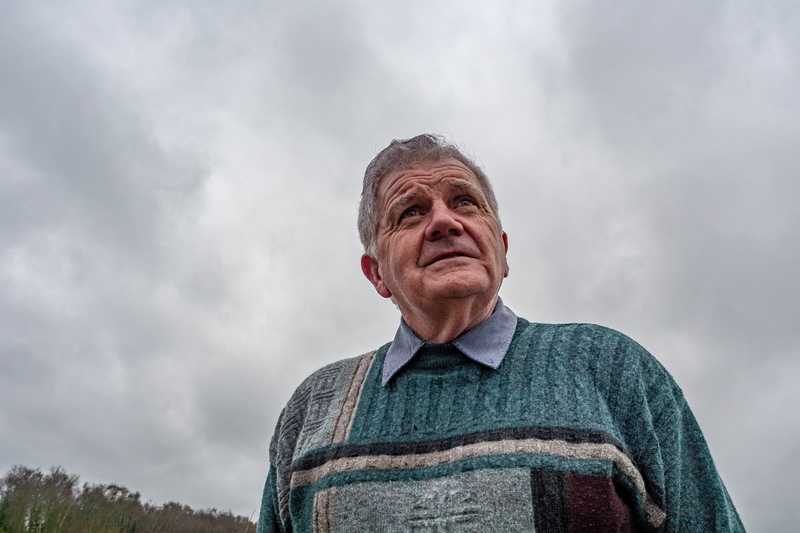 County Clare resident and turf cutter of 70 years (also my distant relative) Jim Murphy took me out to his bit of bog, Ballyblood Bog, and told me about his relationship to it. As a boy, Jim remembers having bog fights which involved throwing handfuls of wet peat like snowballs at one another. He describes the water in a bog as soft and clean, and told me about the healing powers of heather honey made by bees who collect pollen from heather flowers on the bog. Jim, along with dozens of families, cuts a bit of Ballyblood Bog every year and uses it to heat his home. Each slice he takes from the bog diminishes the size of the place where he can breath the fresh bog air that he loves. In the aerial image below, you can see the strips of turf cutting radiating into the bog, shrinking its boundaries. “If I were looking at it from your side, I’d say preserve it,” said Jim as we stood on his strip of cutaway bog. But he likened the idea of ending turf cutting to being asked to leave his home. 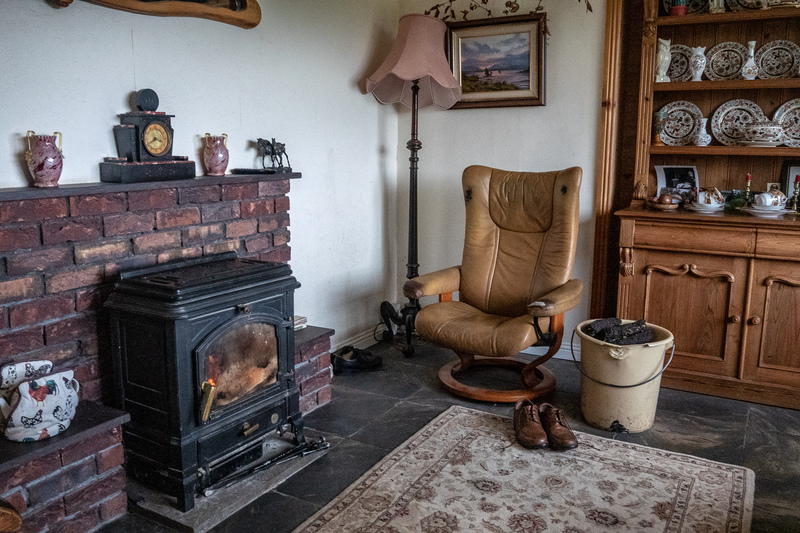 It’s a part of his culture and his life that is deeply embedded--cutting sods of peat to fuel his home fire feels like who he is, not just something he does. When I asked Jim about the contradiction of loving the bog and yet damaging it with turf cutting, he acknowledged the difficulty of the situation. When should you stop and how much peat should you leave so that the bog lives on is a question he thinks will solve itself as the next generation lacks the interest to continue turf cutting. A recent news article in the Irish publication AgriLand also spoke to the emotional attachment to cutting turf, ‘Cutting Turf is Brilliant for My Mental Health’-Flanigan. County Offaly is known for its peatlands. 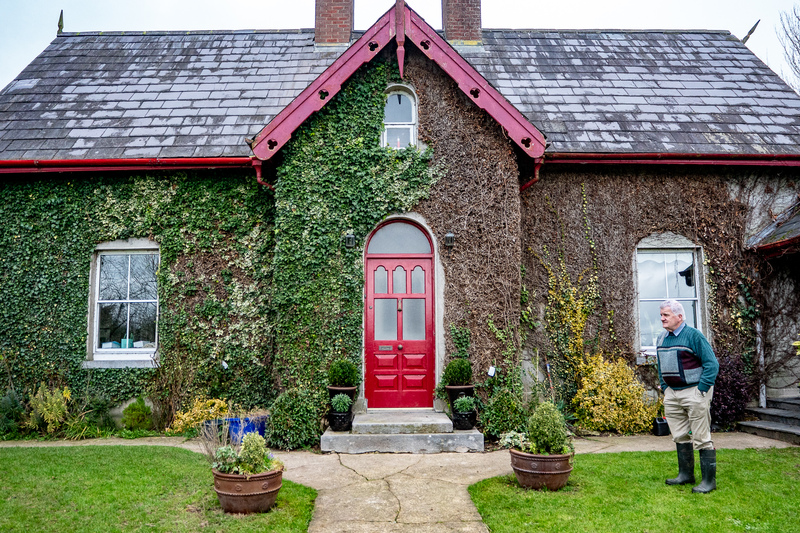 It’s located in the Irish Midlands, a non-coastal region smack in the middle of the country, where bogs abound. Ecologically speaking, Offaly has some of the best remaining bogs in Ireland. Of the four places in County Offaly classified as “Nature Reserves” important to wildlife by the Irish government, all four are bogs. Three are raised bogs--Clara Bog, Raheenmore Bog and Mongan Bog--and one is a blanket bog, Slieve Bloom Mountains Nature Reserve. Slieve Bloom Mountains Nature Reserve extends into County Laois as well. 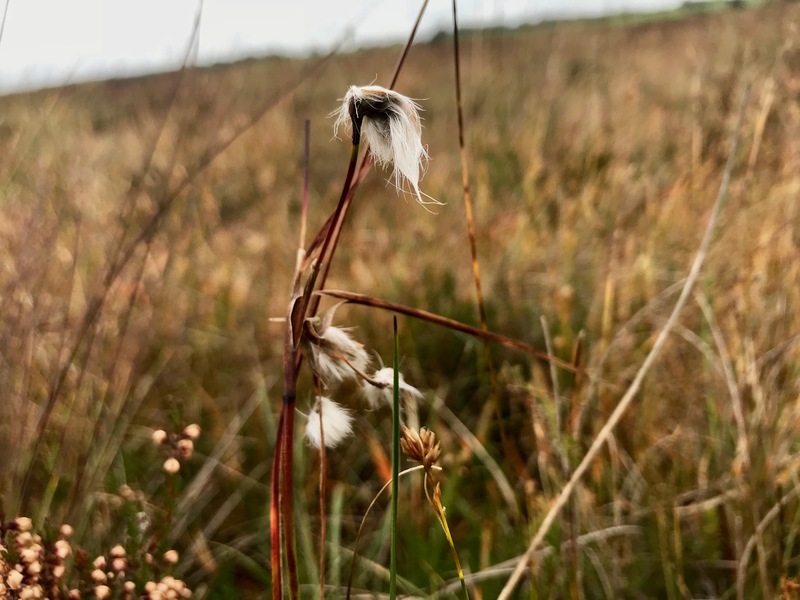 While a raised bog is formed like a dome over a more discreet area (in Ireland it’s often on an old lake bed), blanket bogs do what the name says, they drape expanses of bog across a landscape like a blanket. 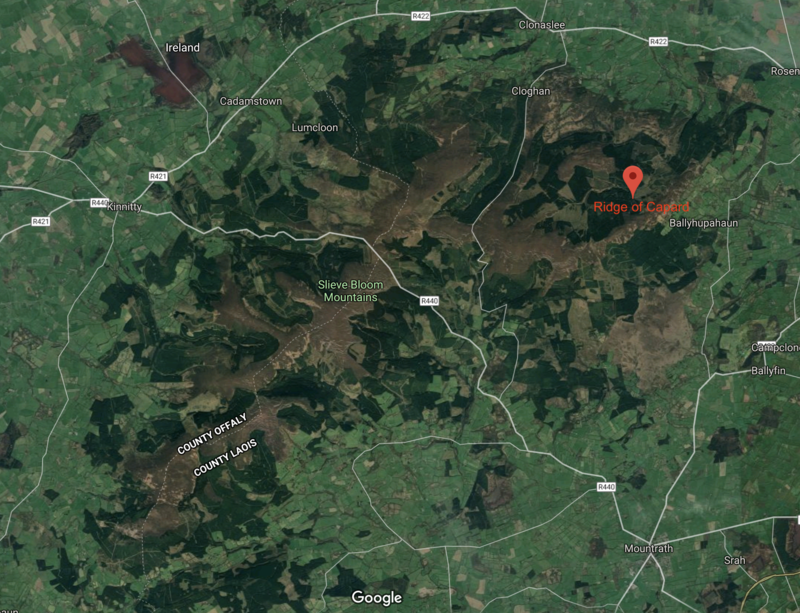 In the case of the Slieve Bloom Mountains, the blanket bog is growing over the mountain ridges, which you can see in brown color crawling along the mountain tops in the aerial image above. 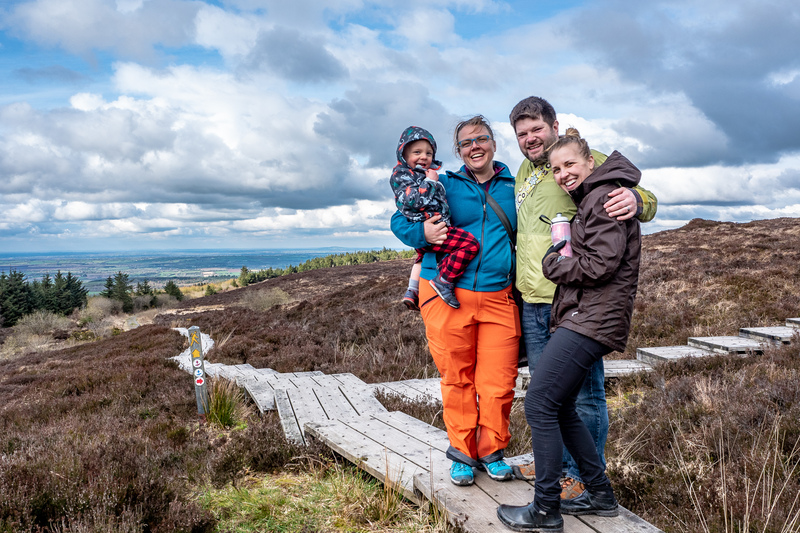 Yesterday, I walked a bit of the Ridge of Capard trail in the reserve (on the County Laois side of the mountains) with visiting American friends Jack, Emily, Jesse and Jen (pictured above in order). 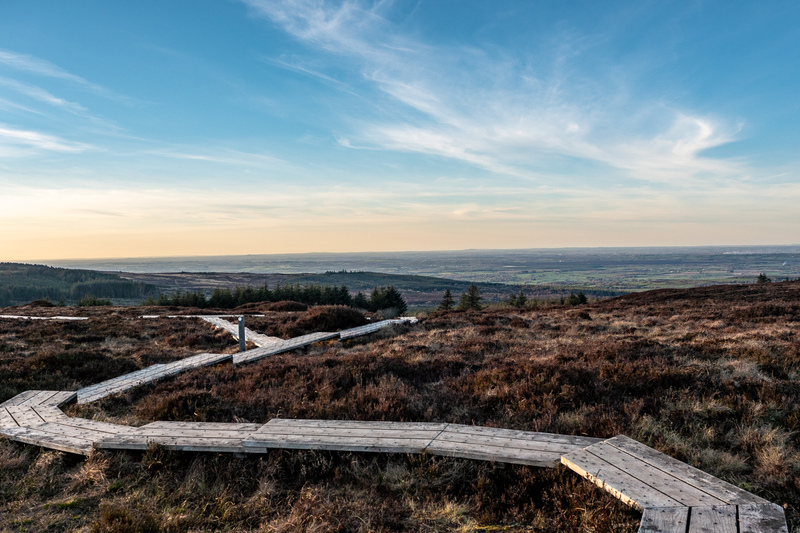 Whereas the three raised bog Nature Reserves in County Offaly are all less than 500 hectares in size, Slieve Bloom Mountains Nature Reserve covers more than 2,300 hectares to encompass the sprawling nature of a blanket bog. According to the National Parks and Wildlife Service the Slieve Bloom Mountains Reserve, established in 1985, is Ireland’s largest state-owned Nature Reserve. There are many miles of trails to explore. It’s certainly worth a visit if you are are interested to experience a Midlands blanket bog with a lovely view. 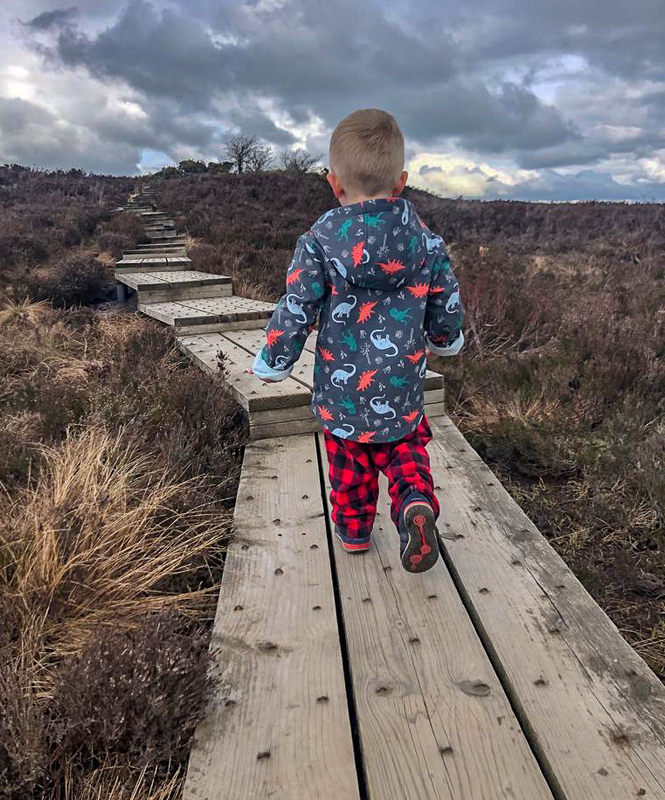 Jack taught me that it is also a great bog to hike with an almost three-year-old, the boardwalks are easy to navigate and the path forward is clear. 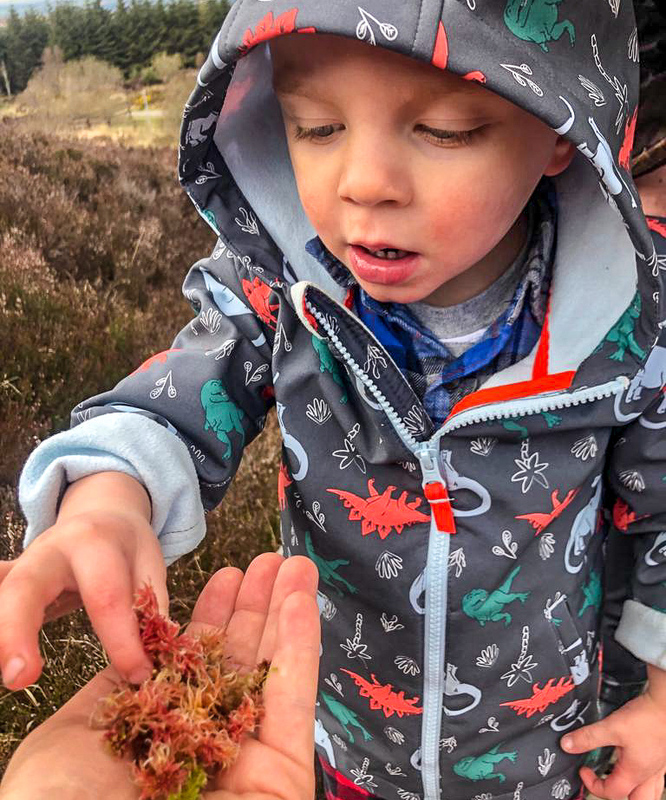 He loved exploring the blanket bog trails in the Slieve Bloom Nature Reserve including its sphagnum mosses. On an April day alternating from blue sunny warmth to overcast hail, Timothy Sullivan and his mom Natasha met me out on Girley Bog. They came at the invitation of Kate Flood, who got to know them through a mutual appreciation for bogland. I had seen Timothy on an episode of the Irish television program EcoEye earlier this year, showing off his moth trap that helps him study night-flying moths at Girley Bog. He has a keen interest in insects and birds and amphibians and, well, all sorts of creatures. So far, Timothy has counted around 150 different types of moths at Girley Bog, but he thinks there could be double that flying around. We went “pond dipping” together, where he drew out insects from watery spots on the bog, and told us a little about them. 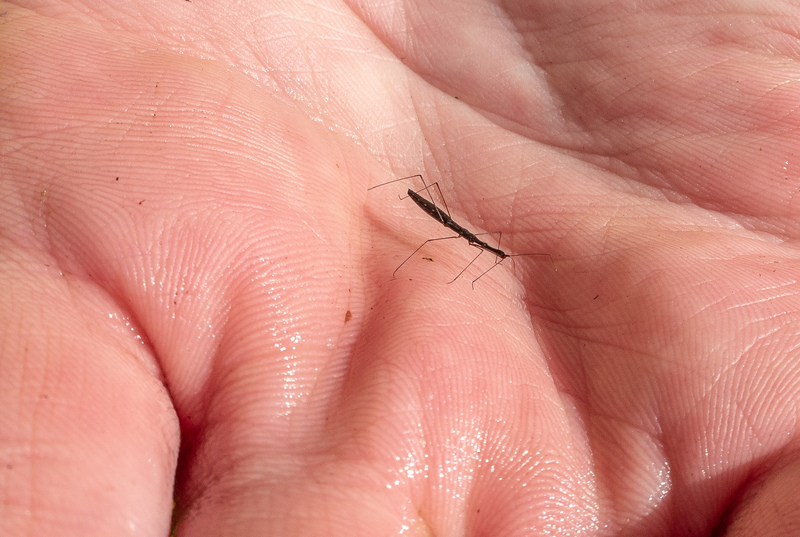 I learned about the water stick bug, for example, that eats dead and dying insects on the surface of the water. It is interesting to see the relationships people form in the bog. It’s a wet, curious place that lets you know you have something in common, simply because you both chose to be there. As communities take an interest in turning their bogs into recreational amenities--as Kate, Natasha, Timothy and others have done at Girley Bog--it forges new friendships. The tadpoles are wriggling and the bilberries are flowering at Girley Bog in County Meath. 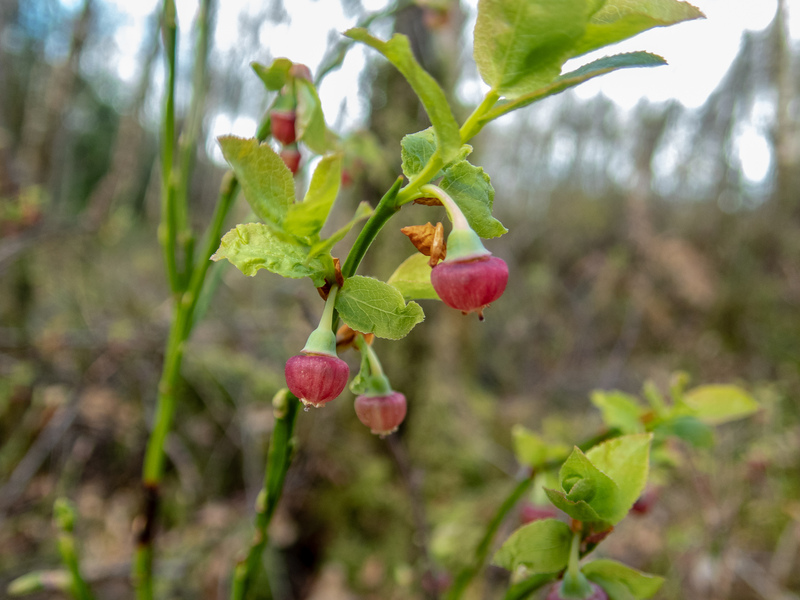 I’ve been excitedly waiting to learn more about bilberries, an edible bog fruit that looks similar to a blueberry, every since I heard about them. Yesterday I had the perfect guide to point out their delicate drooping flowers, Kate Flood, who has done a master’s thesis and now is on to a PhD about Girley Bog and also used to lead foraging tours there. 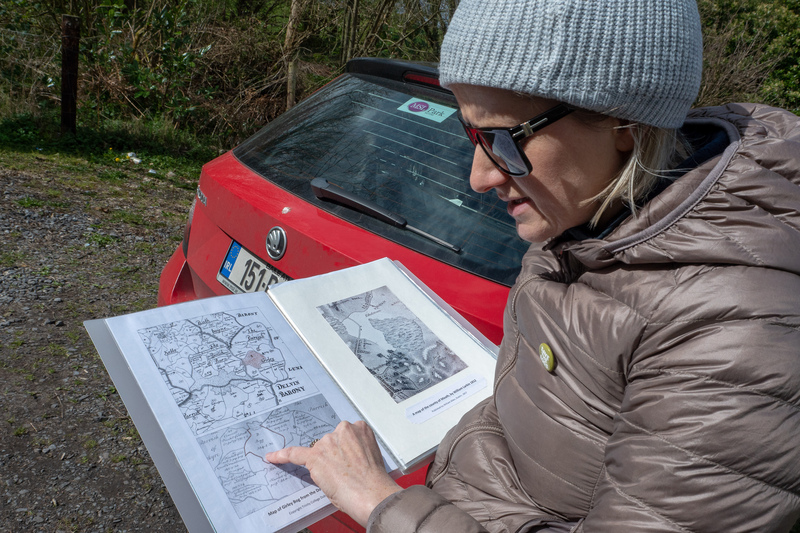 In addition to knowledge about edible plants around the bog, Kate has deeply researched the social and cultural history of Girley Bog and our tour was full of maps, land management history, and tidbits of the bog’s life in the community from 1600 until present. From a property perspective, the bog is divided like a pizza, with all lines meeting in the center and a lot of different owners receiving a slice. 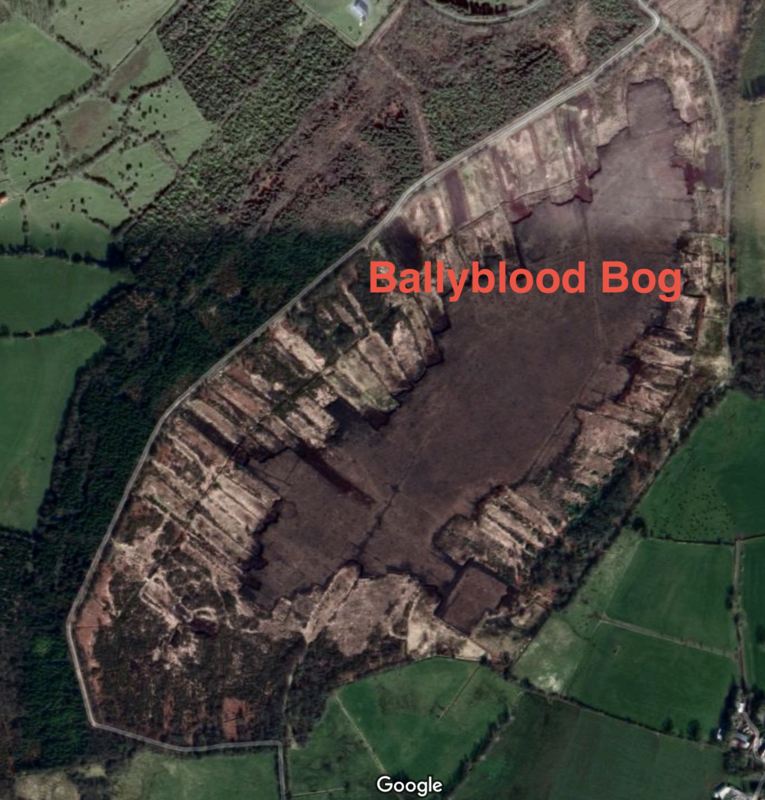 This is reflected in the aerial image of the bog, with different land uses seen from the sky. Girley Bog has been designated by Ireland as both a “Natural Heritage Area” and a “Special Area of Conservation.” From 2011-2015, the Irish department of forestry, Coillte, helped remove a forestry planting from part of the bog and block drains they had dug so that the wetland could re-establish a more bog-like ecosystem. 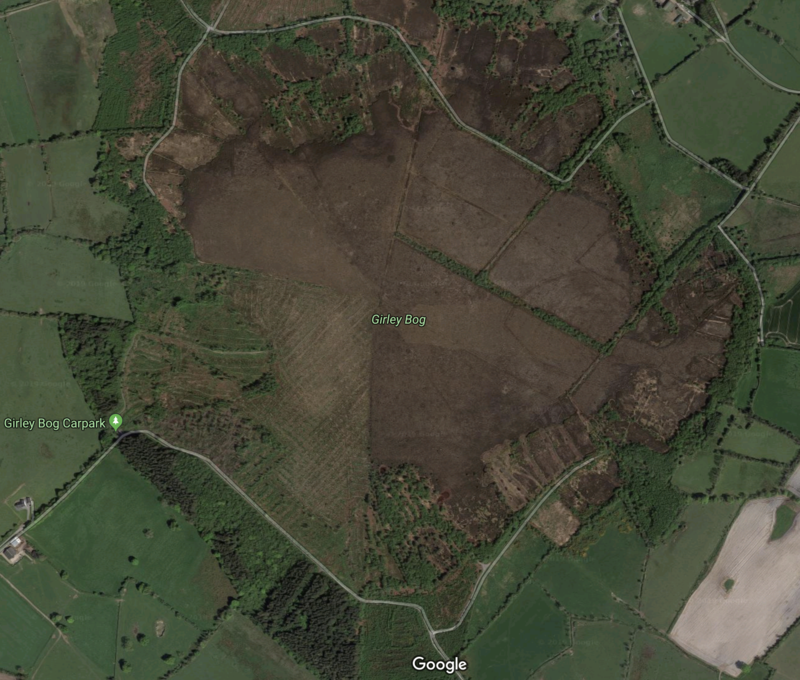 Can you guess which slice used to be the forestry plantation in the aerial image? It was a fascinating afternoon and as usual, one visit only scratched the surface of a bog’s story. To learn more about the history of Girley Bog, check out Kate’s blog, A Bog’s Life. 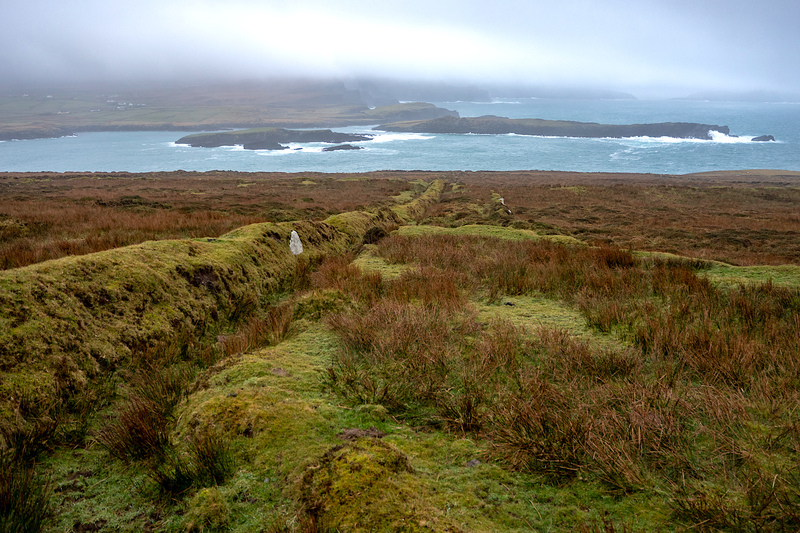 On the jagged northern coastline of County Mayo, archeologist Gretta Byrne helped map the remains of a 5,000-year-old agricultural community. The site is known as Céide Fields and the mile-long stone walls Gretta has been mapping are preserved under several feet of bog. Where a pyramidal visitor center now juts over the landscape, these ancient walls were discovered in the 1930s by Patrick Caulfield, a local man cutting peat from the bog for turf. He noticed piles of stones deep in the bog’s profile that he thought must have been placed by humans. As it turned out, the walls are the oldest field walls in the world, dated at more than 5,000 years old. They were preserved in place because the bog encroached, grew over the walls and sealed them into their historic positions. In the words of archeologist Seamus Caulfield, son of Patrick, who led the first excavations, it was like a slow motion Pompeii but instead of lava, the community was covered in moss. 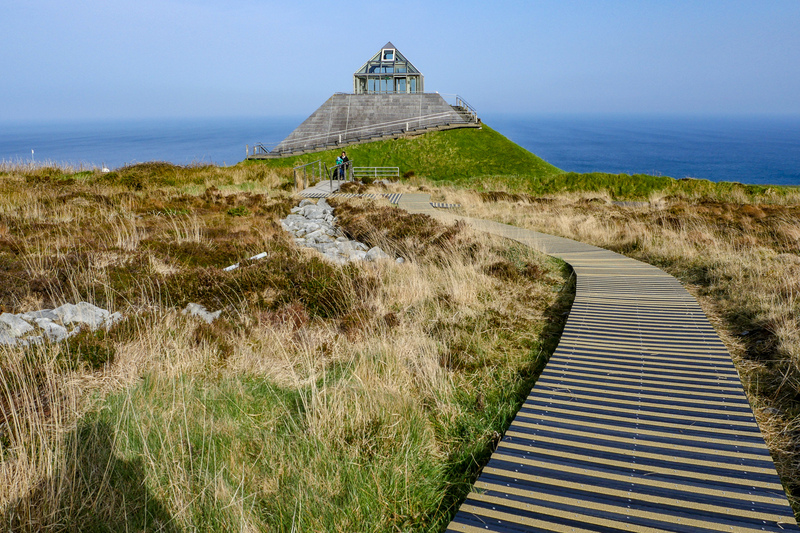 The walls at Céide Fields run exactly parallel to one another for more than a mile, a feat that Gretta points out is quite impressive for people to accomplish five millennia ago. The walls are too low to be considered a form of defense, so they likely marked out property boundaries around agricultural fields. Pollen analysis shows the fields grew pasture, rather than food crops, so it is assumed that the fields held grazing animals. 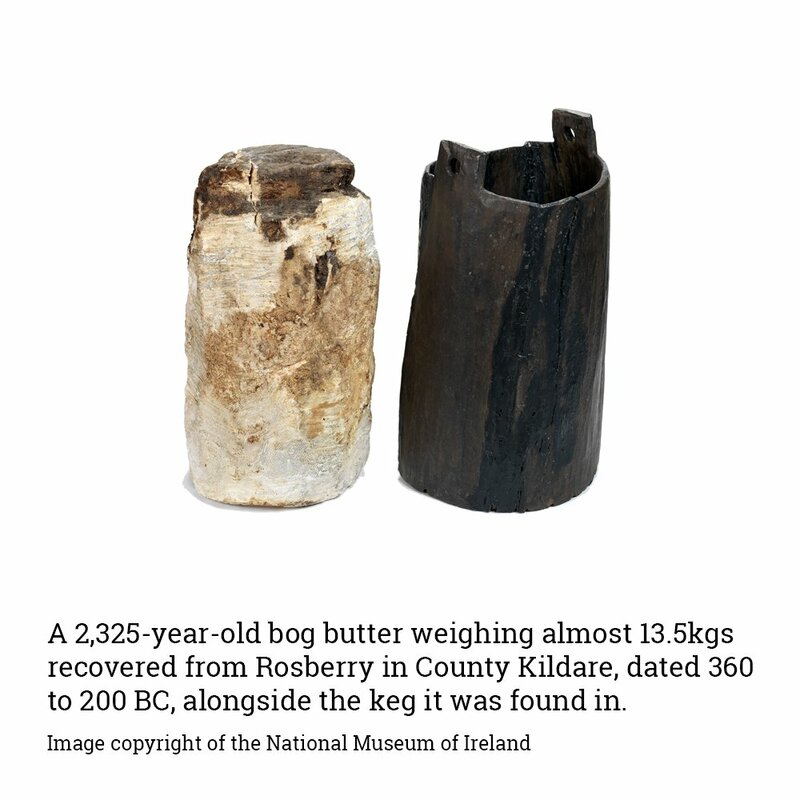 Irish bogs are places of special archeological significance. 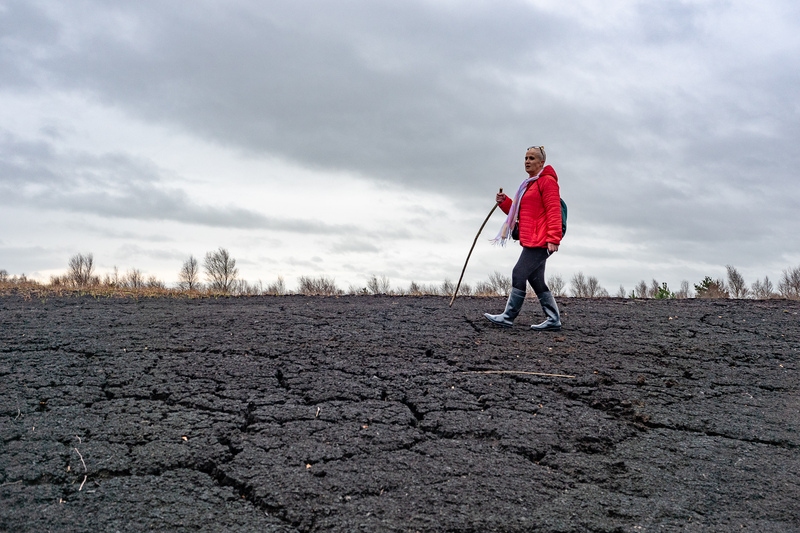 Peat bogs are acidic, saturated landscapes that build slowly, a millimeter per year, and many revealing artifacts have been discovered submerged in their depths. Human bodies are the most stunning organic discoveries that have been unearthed in Irish bogs. 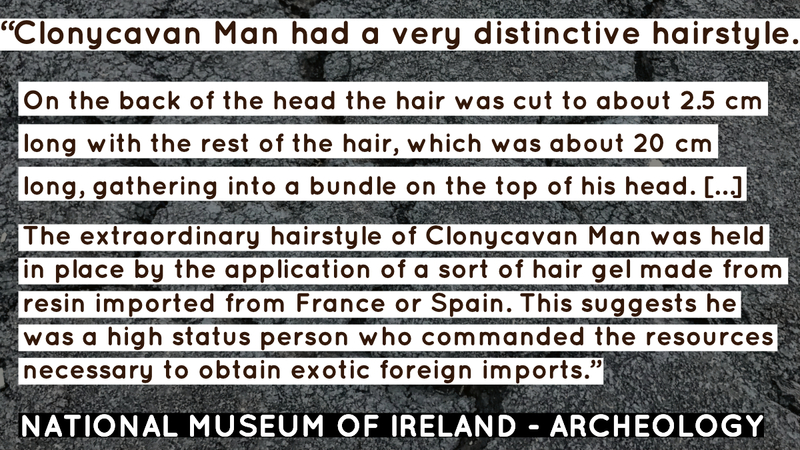 This 2,200-year-old Clonycavan Man, pictured above, was discovered in 2003 in County Meath, Ireland just north of Dublin. He is part of the exhibit, Kingship and Sacrifice, in the National Museum of Ireland - Archeology in Dublin along with two other bodies discovered in Irish bogs. I would recommend for your “must see” Dublin list. What do you notice on your first trip to a bog? This weekend, my cousin-in-law Gary Brown came to Tullamore to visit us and I was delighted that he was up for a trip to Clara Bog. Gary is a Dublin native and says our walk on Clara Bog was his first ever visit to a bog. As we put on our wellies, I gave him a small glass jar to collect a few things he noticed, and we discussed afterward. 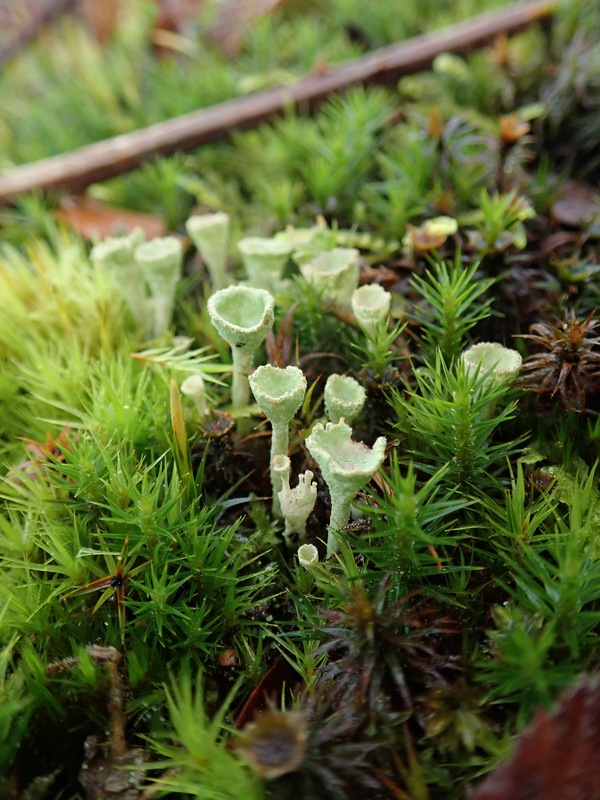 Listen to which plants caught Gary’s eye on his first walk through a raised bog. Under a gray March morning sky in the Irish Midlands, I met Cathy Kerwin for a walk. We followed a sometimes submerged path around a wetland called Turraun. Turraun is near where Cathy lives and she often incorporates it into her morning strolls with her Husky-Border Collie, Jaxson. The history of Turraun is an interesting one that includes a long life as a bog, followed by many generations of peat harvesting schemes, and finishes with the present, when it is finding new life as a born-again wetland. Fifty years ago, it would’ve been unthinkable to take a morning walk at Turraun. It would’ve been stripped bare of vegetation so that large machinery could scrape peat from its surface. 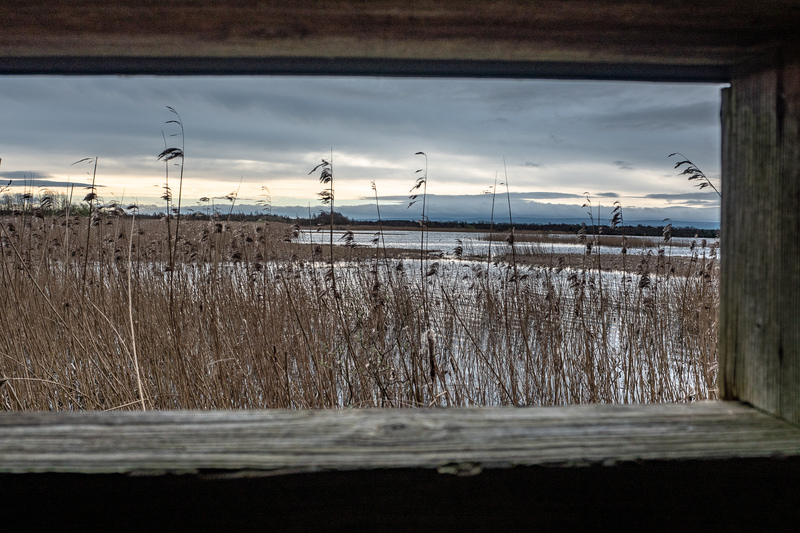 Today, Turraun is part of the Lough Boora Discovery Park. The park is a post-industrial peatland converted to public amenity with many miles of trails. It is set in a much larger landscape of drained bogs where peat extraction is ongoing and much of the peat soil remains drained. As we walked, we passed over bare, black areas of dried out peat as well as many soggier places that have recolonized with wetland trees, grasses and other water-loving plants. This type of place is a relatively new landscape for Ireland, an industrially harvested peatland encouraged back into a wetland. 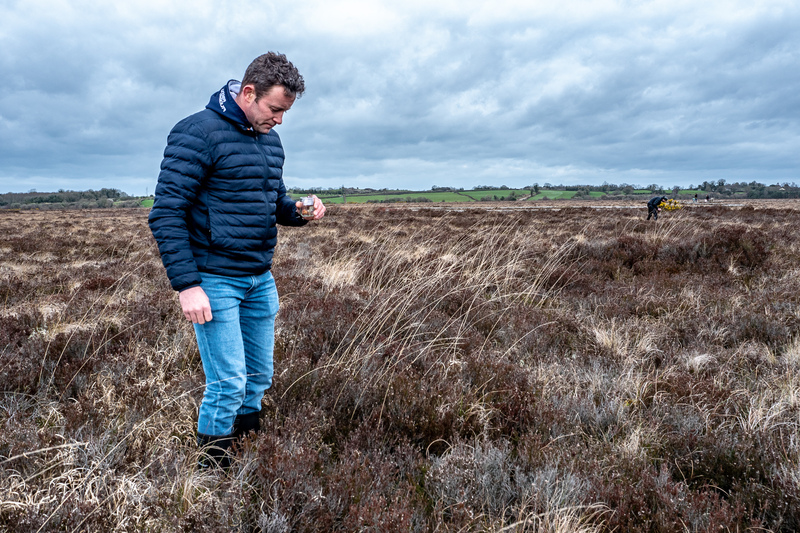 As Ireland grapples with the carbon emissions from their drained peatlands, it may be a landscape that is increasingly common if they choose to re-wet land to slow carbon emissions from the bare soil. The entry sign at Turraun trails gives an inkling of all the tales the land could tell. It traces the beginning of large scale peat extraction back to the 1850s. In that stage of its mining, Turraun’s sphagnum peat moss was stripped from the top of the bog to use as horse bedding by the British Army, the sign says. 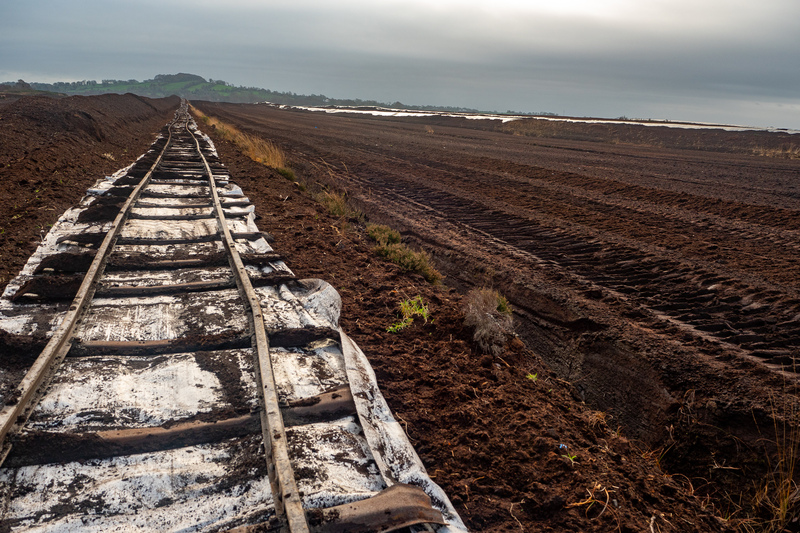 The most recent industrial harvest of Turraun’s peat was carried out by the semi-state Irish company Bord na Móna. 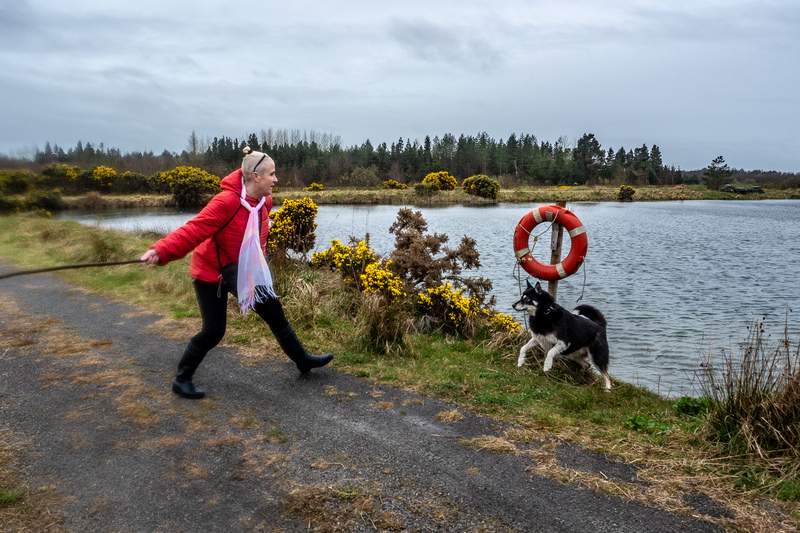 Of all the re-wetted land in the Lough Boora Discovery Park, Turraun was the first to be exhausted of peat and left to recolonize more than 25 years ago. Today in the park, Turraun is the place that has had the longest opportunity to recover some flora and fauna. The entry sign stated that more than 110 bird species and 270 plant species have been recorded on the site. 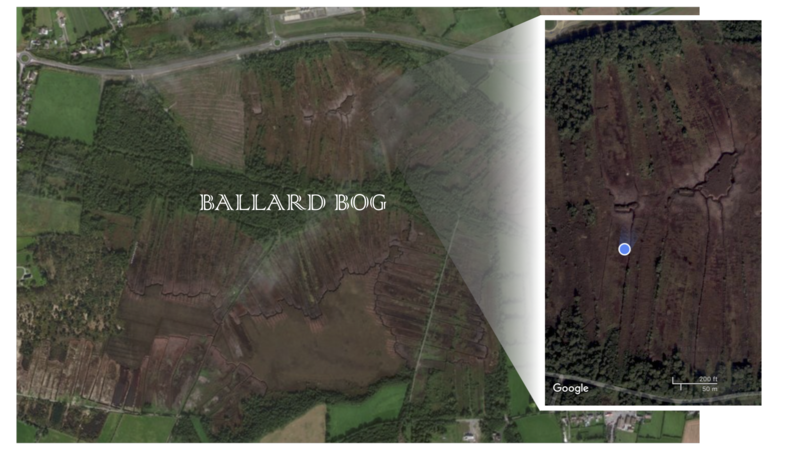 From the aerial image and on the ground, it clear that many people have been harvesting peat in Ballard Bog for a long time. Can you see the long, narrow strips traveling from the outer edges of the bog toward the center? Each strip represents one turf cutter’s ownership rights and peat harvest over the years. I was particularly curious to see the small islands of uncut peat in the very center of these harvesting efforts, pulled out in the image above. What would the last bits of Ballard Bog look as this peatland nears the end of its life as a source of turf for locals? This is the last sliver of bog in someone’s turf holding, still a tower of peat in the center of the cut area. I wondered if it was left because of the tree and its root system that might be difficult to cut around? 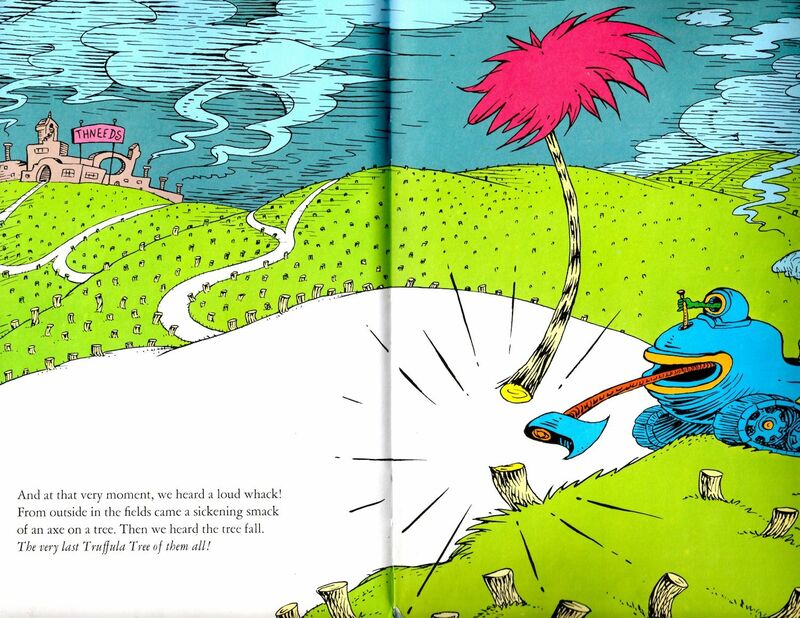 I couldn’t help but think of Dr. Suess’s The Lorax. 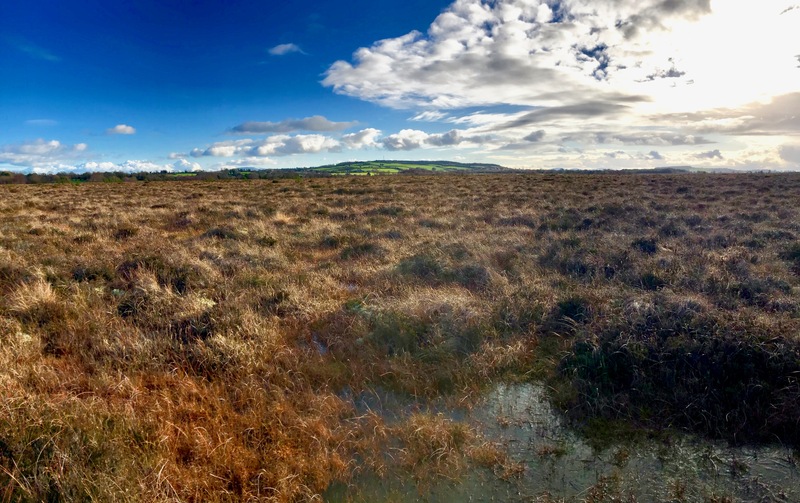 At least 85% of Irish peatlands are degraded, so it doesn’t seem dramatic to think about this bit of Ballard Bog as representative of the state of bogs around Ireland. 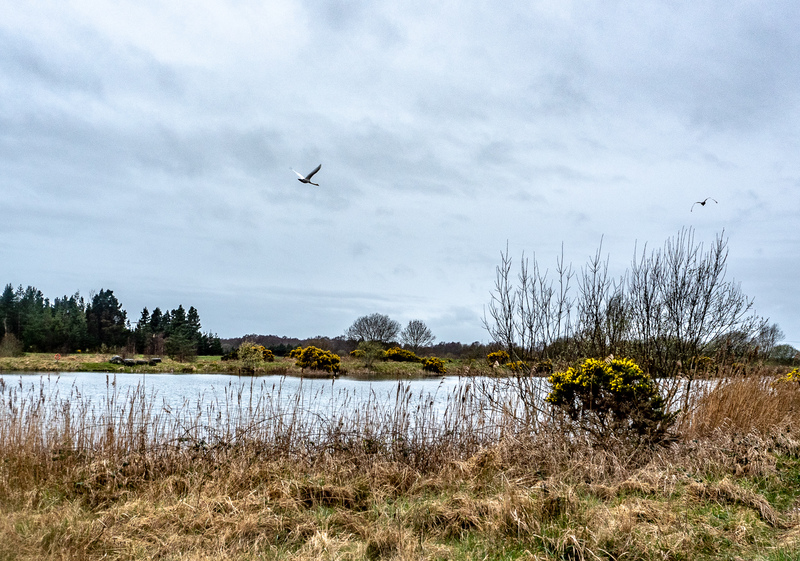 In all of Ireland, the type of bog that Ballard used to be, a raised bog domed over a former lake, only 8% are “ecologically intact,” according to an article published in the journal Irish Geography in 2018. The peat in Ballard Bog was chipped away year after year, cut into sods, dried and taken home as a domestic energy supply. I’m not sure how I would feel about this bog if it was my family’s source of fuel and my ancestral tradition to warm our home with these turf sods harvest from Ballard Bog. From an outsider’s perspective, seeing bogs cut down to their last bits, unrestorable and gone for good, is sad to witness. 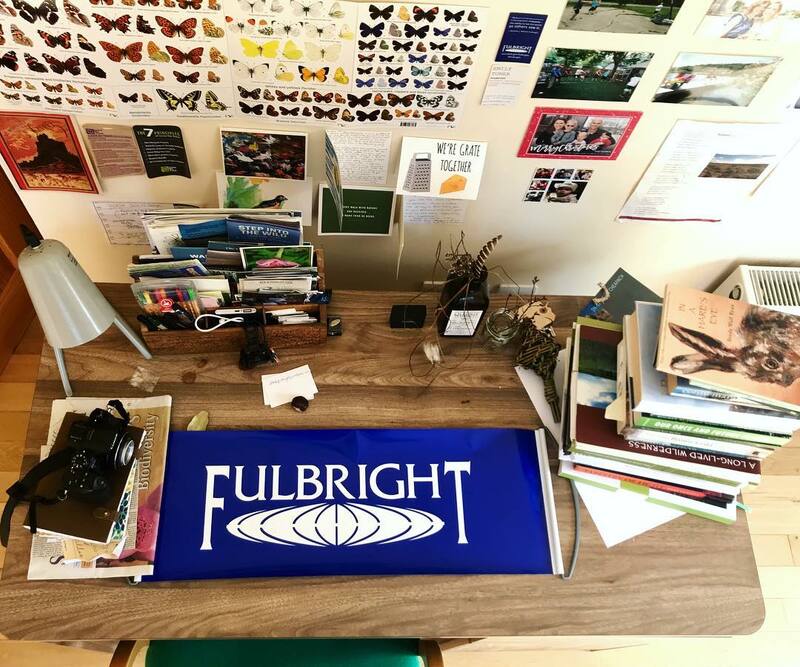 The Fulbright Program posed the question: what does your Fulbright desk look like? My Fulbright desk is a colorful place where I have collected bog artifacts, books, maps and more in the last six months. 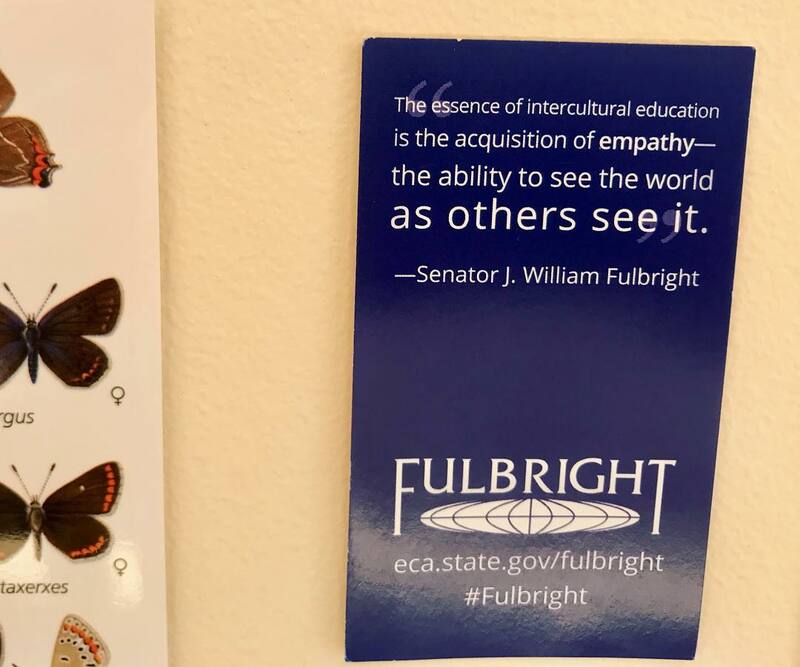 I love my Fulbright desk. My desk is in a sunny room at the back of my house in Tullamore, Ireland. It’s where I think and plan how to pursue my research question: what is the cultural and environmental significance of Irish bogs? My desk is where I write, edit multimedia, call people for interviews, and update this blog. 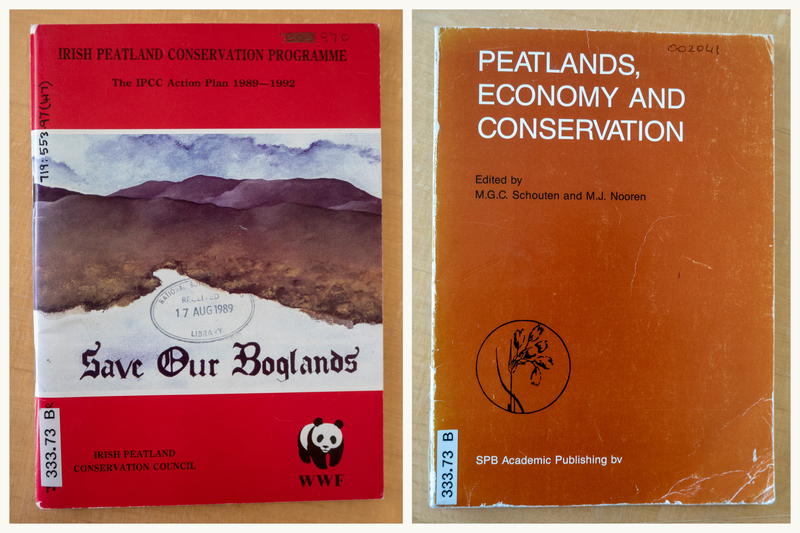 It has seen a growing collection of books, reports and other bog-related publications pass over its surface. 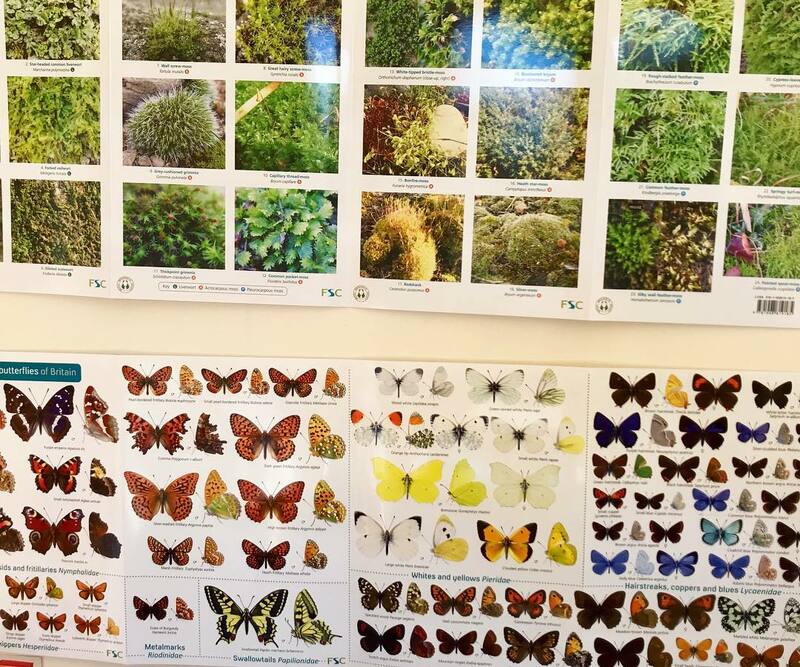 I’ve decorated the walls behind my desk with field guides of the mosses and butterflies I might encounter while I’m here, as well as photos of people I miss at home. One thing the desk has that I wasn’t expecting is poetry. I’m collecting work by Irish poets that references bogs. I also have a poetry journal given to me by a friend before I traveled over to Ireland, to record poems I like and maybe write a few myself. Poetry has been a wonderful part of my year here. 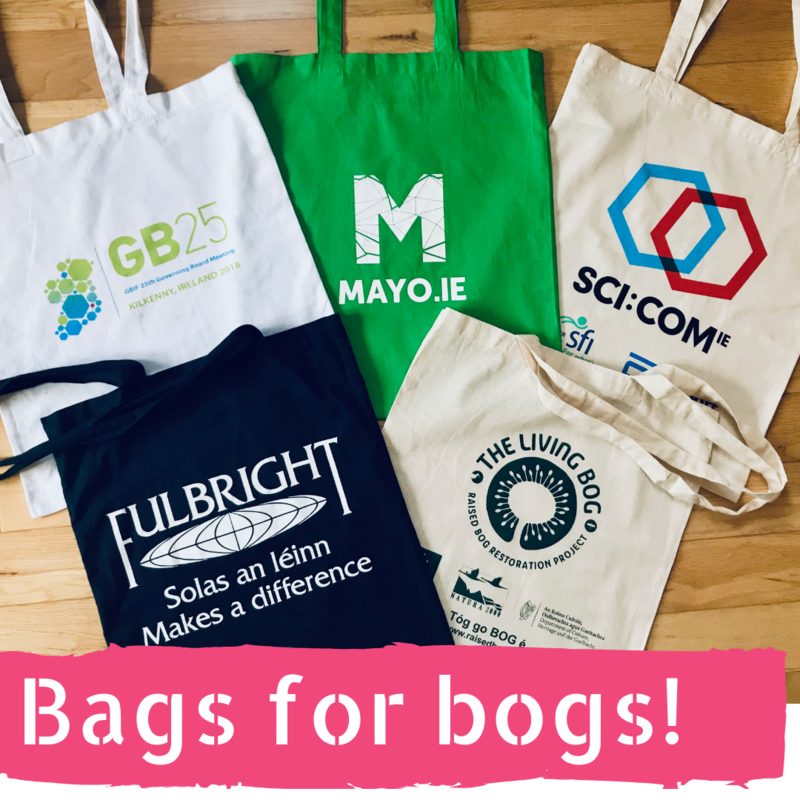 Six months deep into Irish bog research as a Fulbright - National Geographic Digital Storytelling Fellow, I can say with confidence that no two days have been the same, and with absolute certainty that every week brings unique experiences. I ended my visit by attending a talk in celebration of International Women's Day titled: Magic & Medicine: Women and the history of healing plants. It was fantastic. 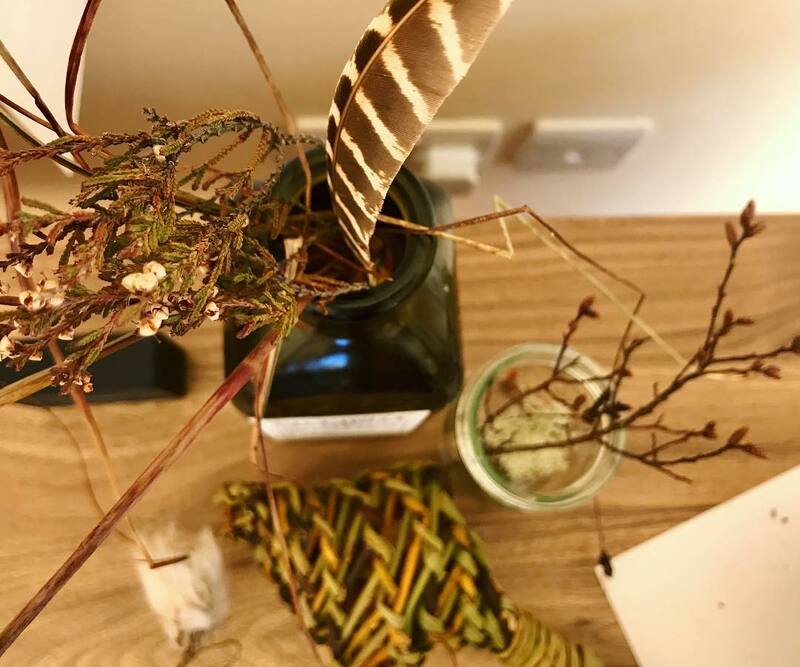 On February 21, 2019 at the National Biodiversity Conference in Dublin Castle, Ireland’s president, Michael D. Higgins, made a keynote address sharing thoughts about how to protect Ireland’s rich but declining biodiversity of flora and fauna, including in bog habitat. 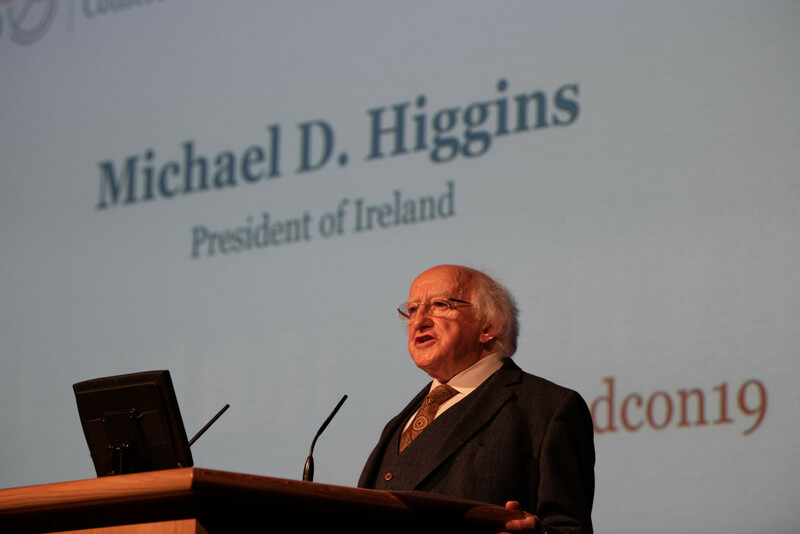 Building on a lifetime of public service and intellectual engagement, President Higgins’ words were thought provoking. ”Our own government reports that 91% of internationally important habitats in Ireland have ‘bad’ or ‘inadequate’ conservation status. 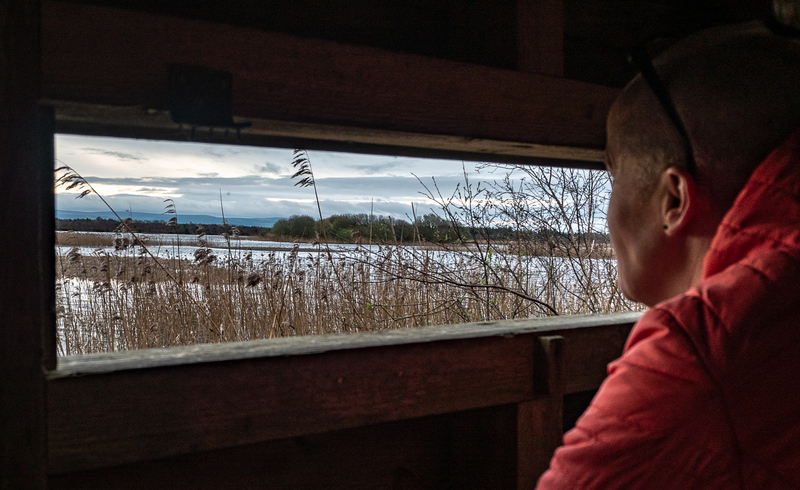 Studies over the past five years have shown that of 202 species of commonly occurring birds in Ireland, an alarming 63% are now on the Red and Amber Lists of Birds of Conservation Concern. 30% of Ireland’s wild bee species are threatened with extinction and studies suggest that we in Ireland are losing butterflies and bees at a faster rate than in the rest of the world. Though this is a dire synopsis, President Higgins went on to call for “...a discourse that encourages hope,” and one that connects ecology, economic and ethics. He cited the need to respect ancient wisdom, for scholarship to be delivered with humility and to be able to disagree with courtesy as keys for moving forward. The full speech--video, audio, and transcript--can be accessed on his website. Powerful leadership communication from the country's First Citizen - the Emotion in the room and the demand for Action was palpable. "Do your bit, Get Angry, take Action" to paraphrase another passionate (ex-)President and Leader from the West. The Elders and the Young People get it (the Urgency to prevent extinction and build resilient living communities). The middle mangers / business controllers in the system will follow. 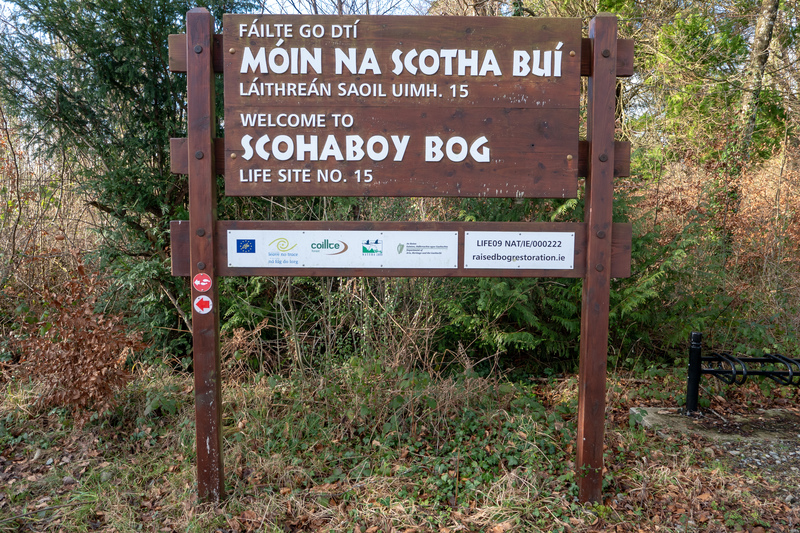 Browsing the Irish National Parks and Wildlife Services map of conserved sites led me to visit a special bog near Killarney. 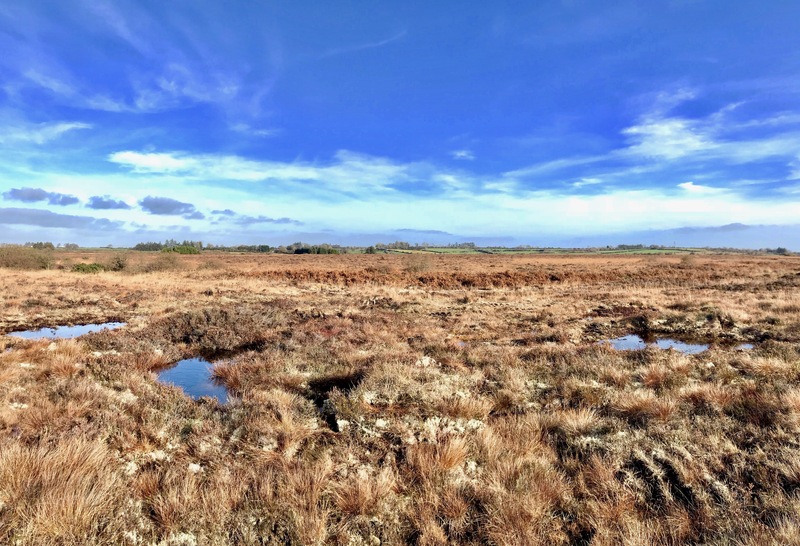 Of Ireland's 53 raised bogs listed as "special areas of conservation," Sheheree Bog is one of only two raised bogs designated in County Kerry. It is unusually south and west of the area where most raised bogs would occur. See the definition of a raised bog below from Ireland’s National Raised Bog Special Areas of Conservation Management Plan. 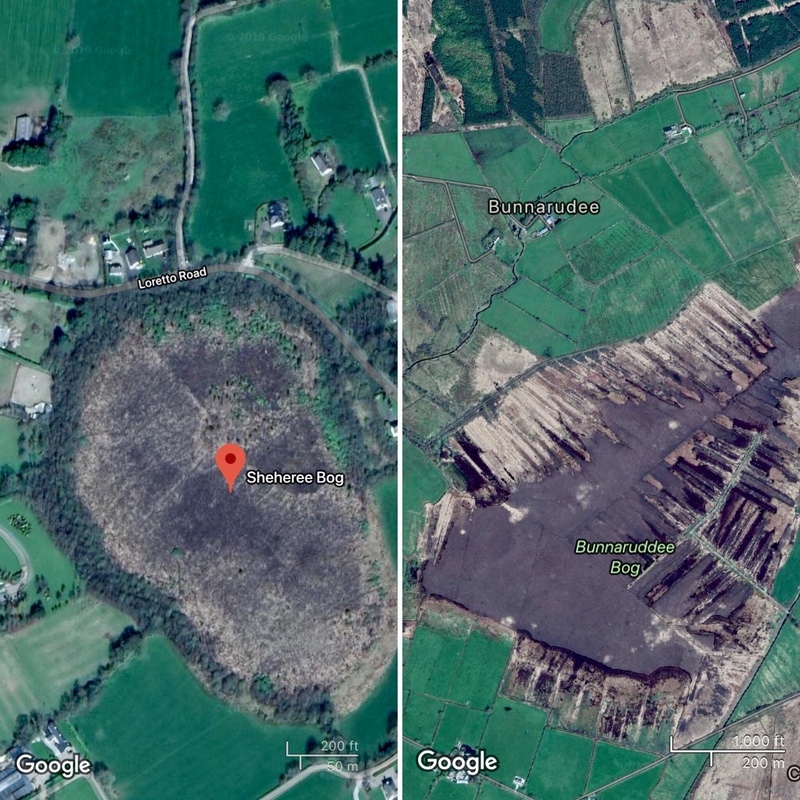 I was particularly interested to see Sheheree Bog because, from a quick look at the aerial image on Google Maps, it is very different from every other Irish raised bog I have encountered: it hasn’t been drained and cut for peat extraction. 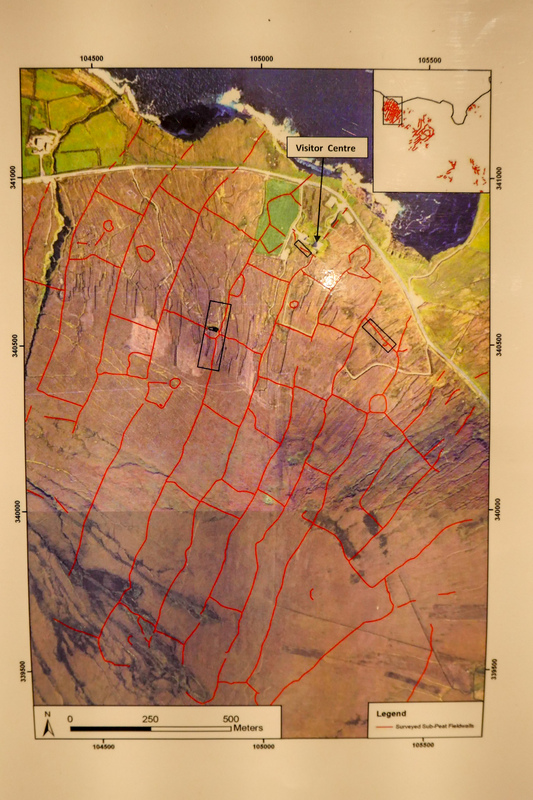 For example, take a look at Sheheree Bog side-by-side with another bog in County Kerry. Sheheree was by far the wettest bog I have walked through, an indicator of good bog health. 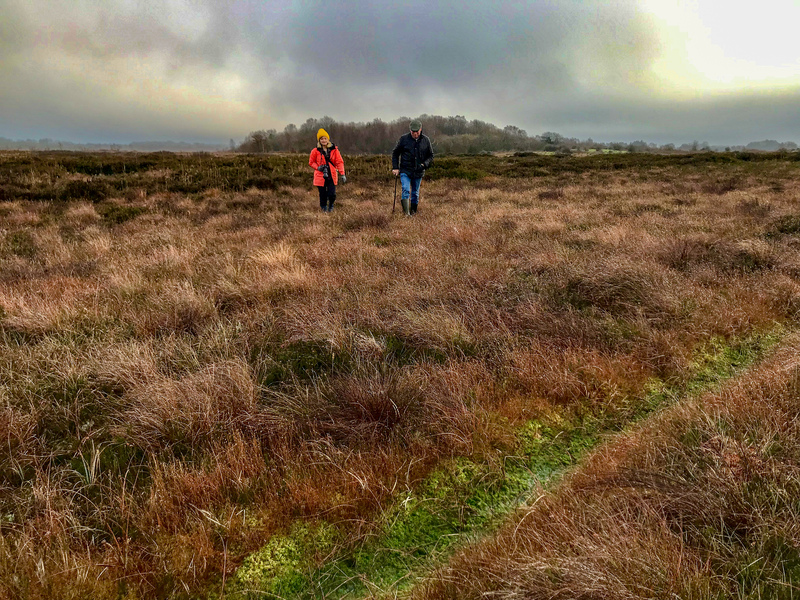 Luckily, I had met an adventurous fellow AirBnB user in the morning and he came out with his drone to add “walked through a bog” to his list of Irish travel accomplishments. Many thanks to Lee Dunning for the footage and company. I wrapped up my weeklong road trip with two days on the Atlantic coast of County Clare. 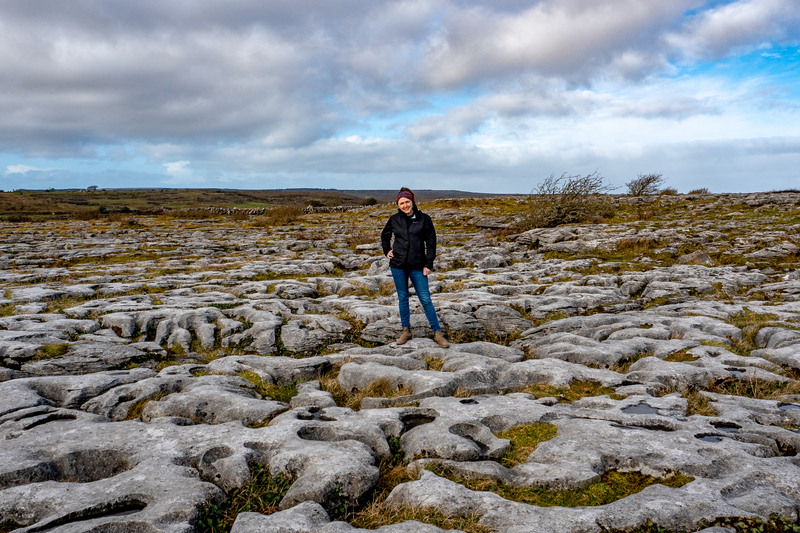 In addition to soaking up surf culture and pub music, I also paid a visit to the Burren, Ireland’s vast landscape of limestone. Today, I as I wandered the Burren's dramatic rockscapes, I didn't see a single bog. 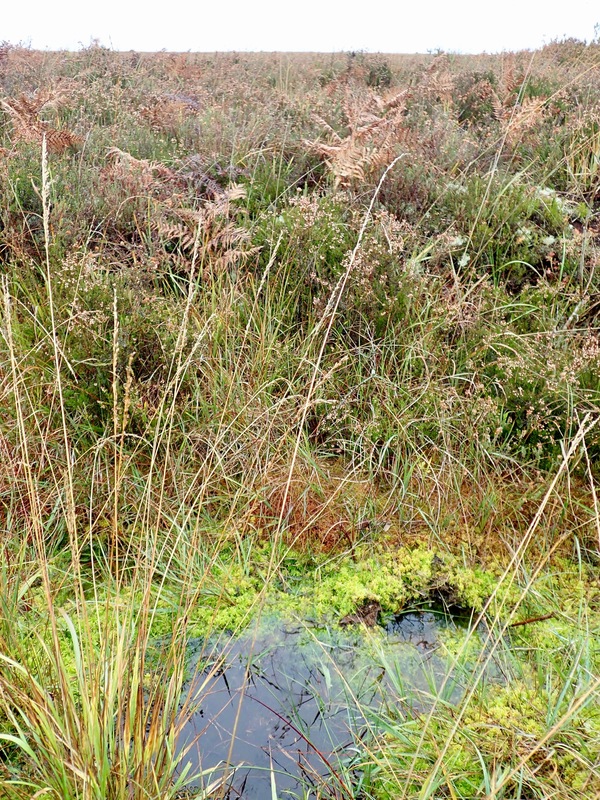 Bogs form under specific conditions, which are unusually widespread around Ireland. Bogs need a lot of rainfall to land on a place where the water gets trapped and cannot drain. The watery place also needs to be or become acidic. Ireland’s climate and geography allowed peat to form on around 20 percent of Irish soil, a high proportion of the country. But on the Burren, where limestone reigns, conditions are different. Limestone contains a lot of calcium carbonate, a chalky substance. This is important because, unlike many rocks, limestone can dissolve in water. So when it comes to bogs, a limestone landscape fails one of the basic needs for bog formation. Limestone becomes pitted and full of holes, and even hollows out into caves. It doesn’t trap water, and limestone also has a high pH that whereas bogs need to be acidic. 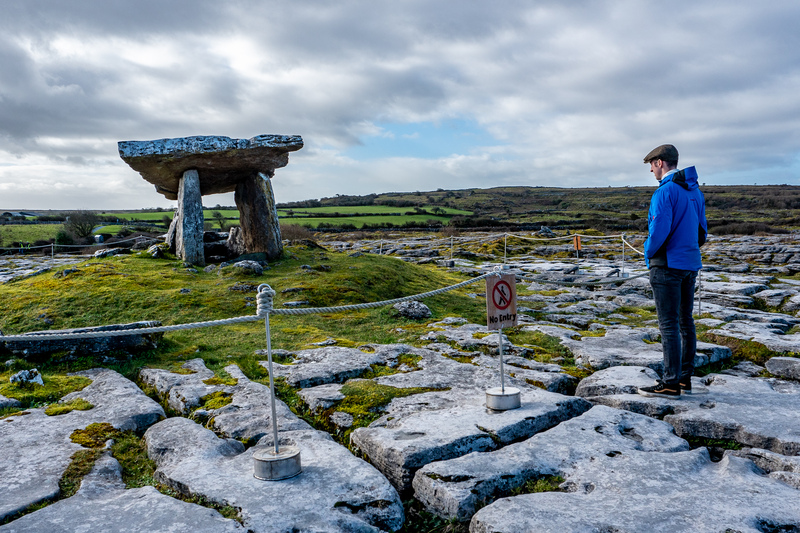 The Burren has a long, long history. My husband (pictured above) and I stopped by this ancient tomb site, Poulnabrone Dolmen. It is the second most visited site in the Burren. Archeologists excavated bones here that were 5,800 years old. Dear Irish Lichens, Will You Be My Valentine? You have been endlessly fascinating to me. Your texture is something between marine coral and extraterrestrial. Your colors are sometimes bright and ostentatious, and other times highly camouflaged. 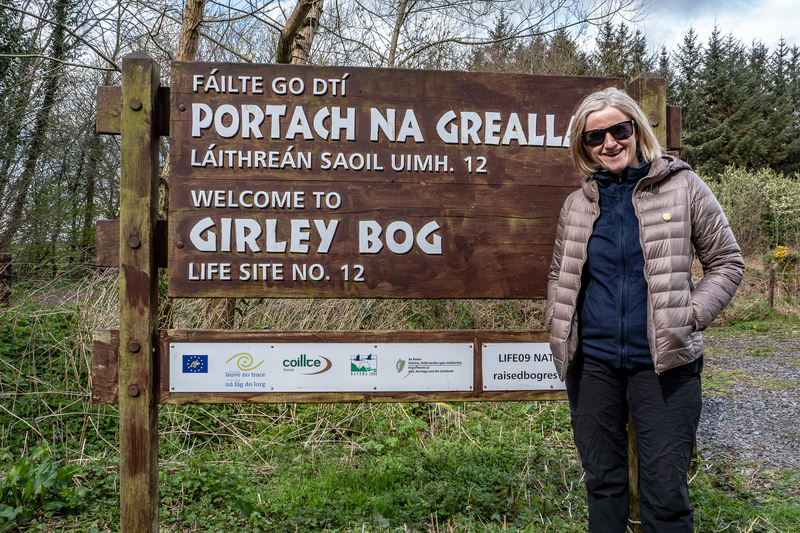 I noticed you at Clara Bog this week when I visited with Tina Claffey, a talented Irish photographer who has taken a keen macro interest in Irish bogs. She published a book of her bog photos recently, Tapestry of Light. You're featured in a couple of photos! 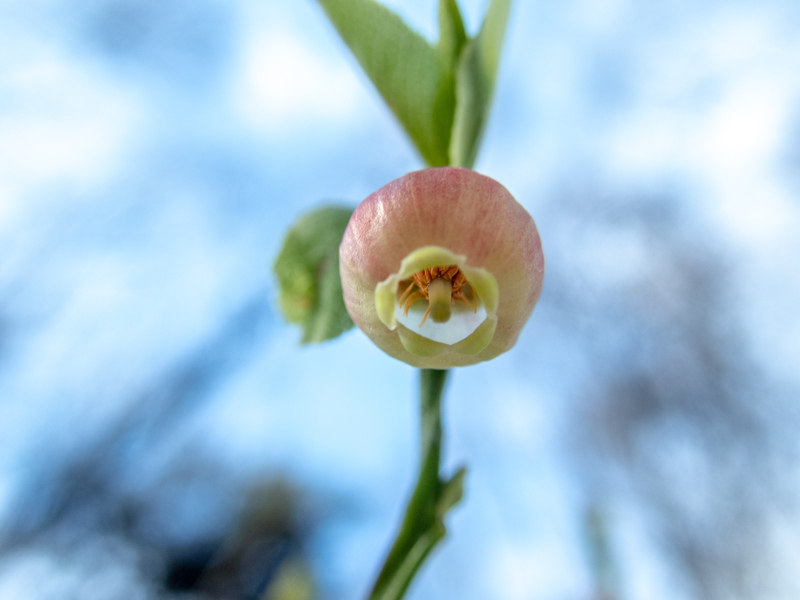 When we walked out to a woody strip of vegetation on a formerly drained bit of the bog, I noticed your beauty as it ruffled and flounced along this narrow branch. I admired your vigor as you mingled with this scaly liverwort, curled around a birch trunk. I’m enamored, and so, am shamelessly appealing: will you be my Valentine?? 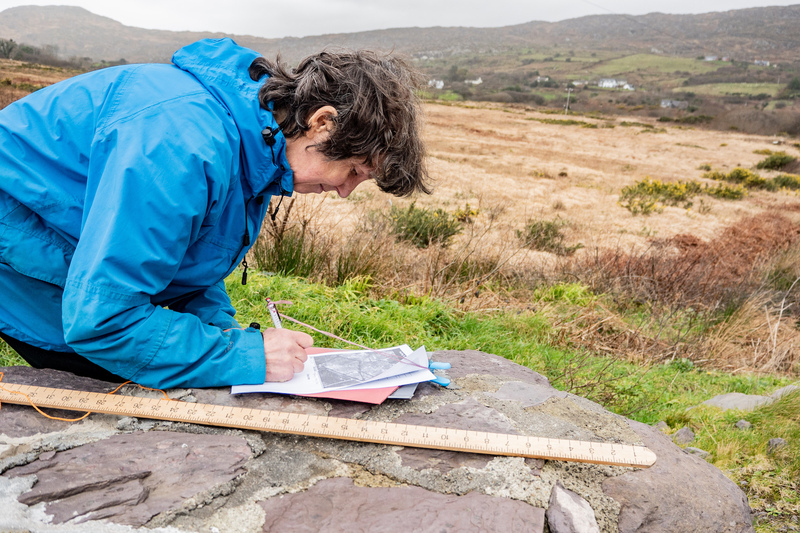 Today, Myfanwy Blisset, a 31-year resident of County Kerry, took me out to her community’s conserved bog and showed me how to use a piezometer. 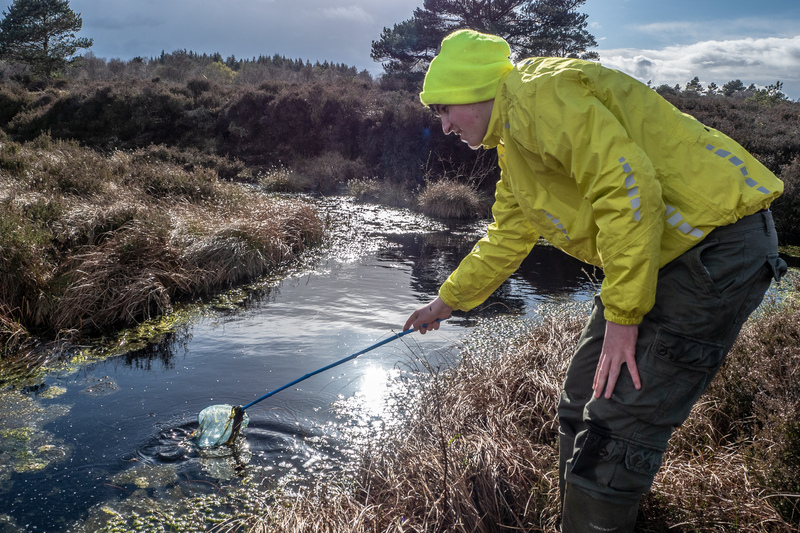 What’s a piezometer (pronounced pea-zah-meter) you ask, and what do they have to do with bogs? Great questions. 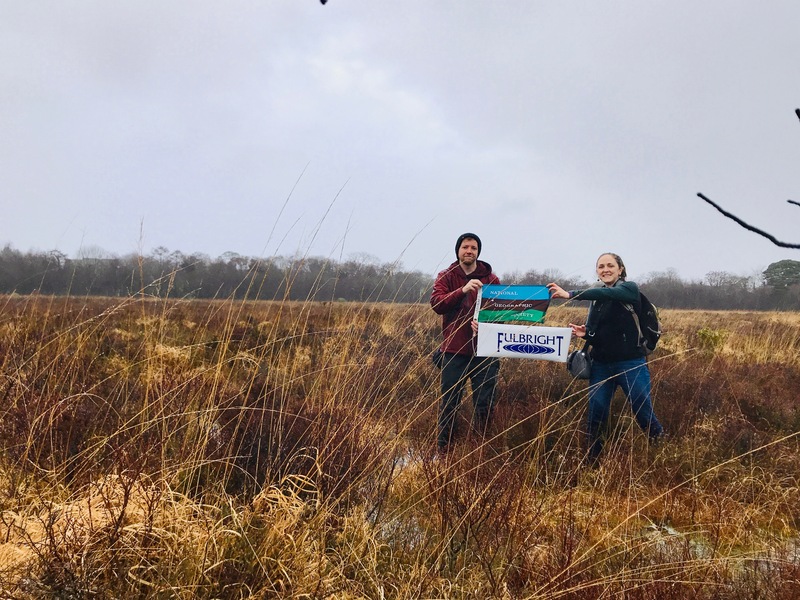 Six months ago, Myfanwy signed up to volunteer with the Irish Peatlands Conservation Council who was gifted Coad Bog in the southwestern coastal Irish county of Kerry. 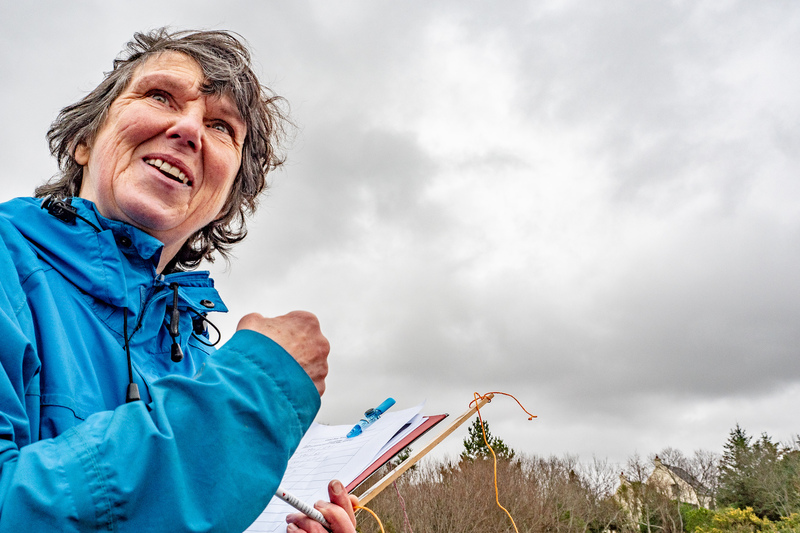 Her job is to keep an eye on Coad Bog and record water levels every other month. The piezometer is key to measuring water levels. The technical definition of a piezometer is an instrument to measure the pressure of a liquid or gas. In the instance of Coad Bog, 12 piezometers were installed to measure the pressure of underground water, or groundwater. The pressure of groundwater is evident in how close or far water lingers from the surface. In a healthy bog, water should be hovering underground at a very shallow depth, 10 centimeter or less from the surface. 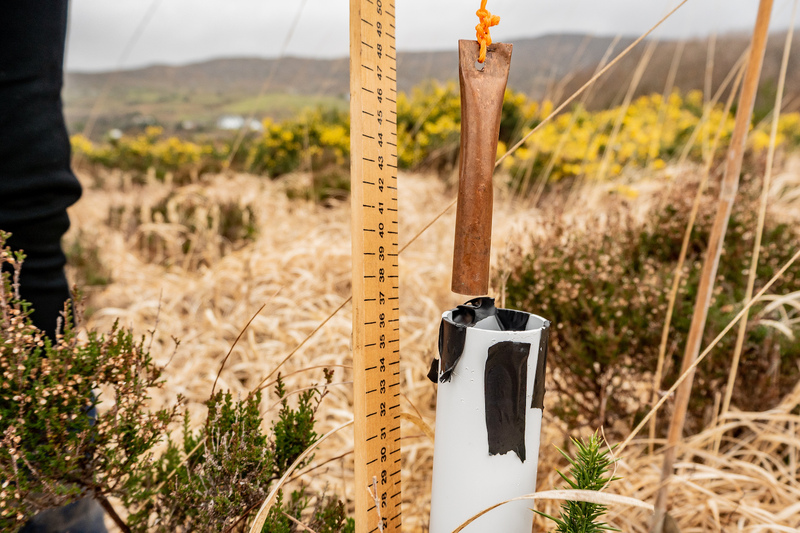 At Coad Bog, the piezometer keeps an eye on how wet the ground is, and it is a simply made instrument-- a PVC tube pushed into the ground that you can dip a weight into until it hits water in order to determine water depth. Coad Bog has been heavily hand harvested for domestic peat fuel over the years, which means it was drained to lower the water level. 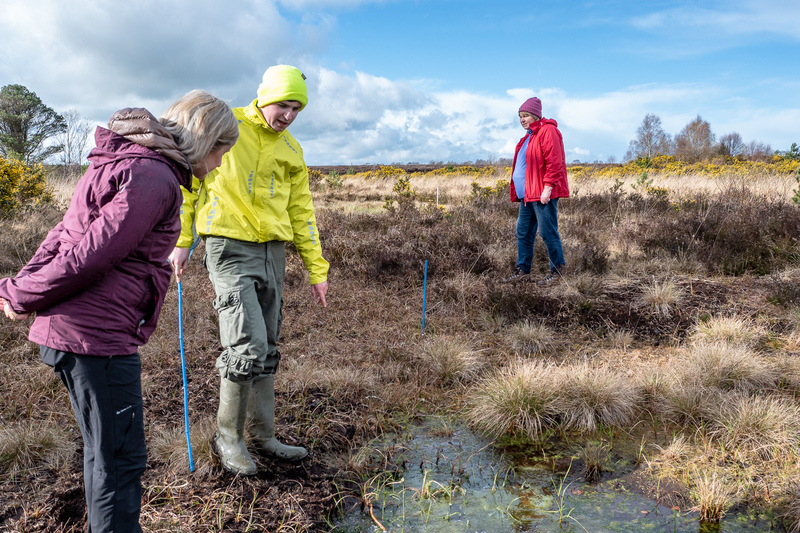 Part of the Irish Peatland Conservation Council’s approach to conserving bogs like Coad is to block the drains that were dug and help the water level to rise back toward the surface. Today in Coad Bog, most of the 12 piezometers Myfanwy and I checked showed a water table within 10 centimeters of the surface, though the lowest water measurement was 27 centimeters deep. Today I met John Mulvihill, bog museum curator and pony savior. While I was touring his museum, the Kerry Bog Village, I learned about Kerry Bog Pony’s near extinction experience. 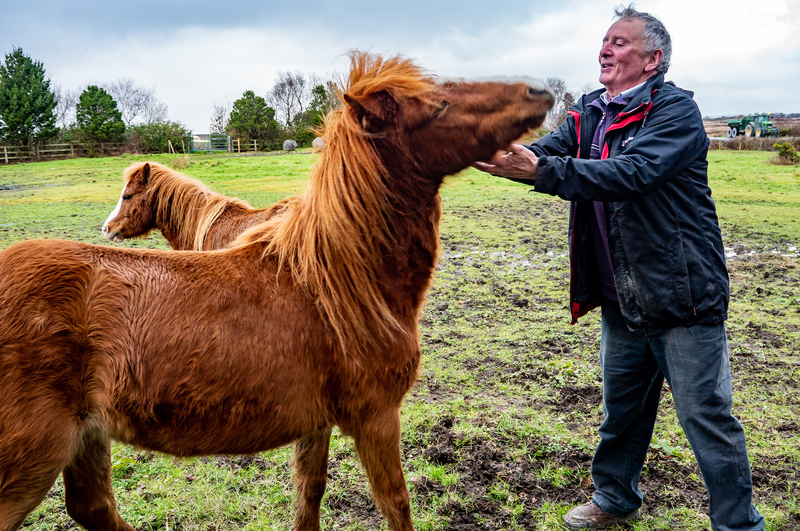 This little horse is one of only a handful of native Irish horse breeds, and it is largely thanks to John that they are still here to charm us. Kerry Bog Ponies are specially adapted to thrive as peatland pack animals. They are sure-footed in the wet conditions of a bog and can carry a heavy load. They are relatively light and strong for their size, powerful in their pony proportions. And, they are resistant to many common equine diseases. But these adept bog workers lost their stature as an essential tool when people began to use motorized means to transport their bounty across the bogs. This is where the savior part of John’s title comes in. After he realized how scarce the breed had become, only 26 known animals is 1992, John sought out ponies that people associated with the old ways of Kerry life. 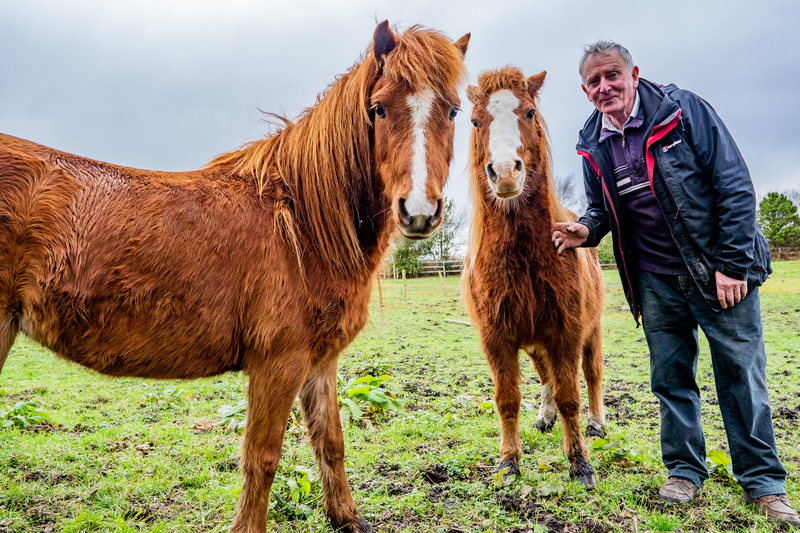 Eventually he proved their unique lineage through DNA testing and founded the Kerry Bog Pony Co-operative Society in 2005 to support the network of people interested in keeping these small, distinctive horses. According to the book The Story of The Kerry Bog Pony, by 2010, the population of Kerry Bog Ponies had grown to more than 300 horses. 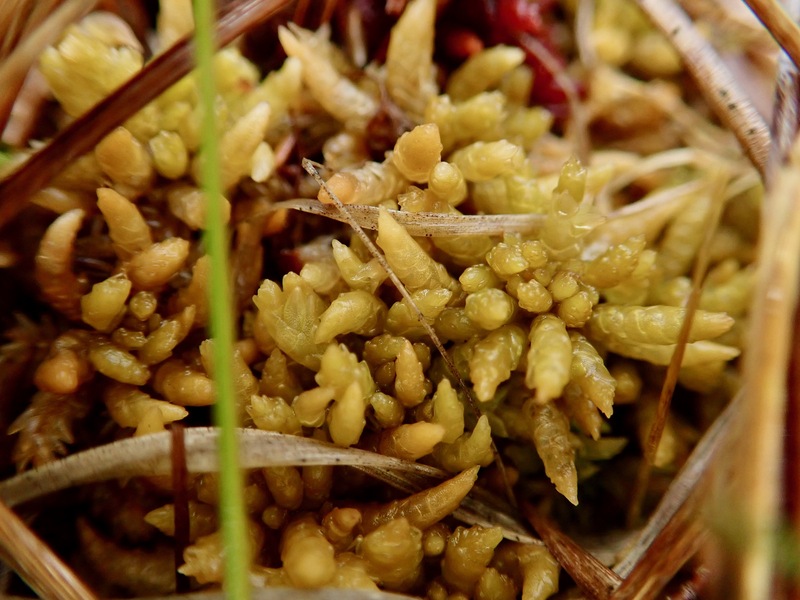 Spores are sphagnum’s reproductive structure--the way the spread their seed (technically called a spore). 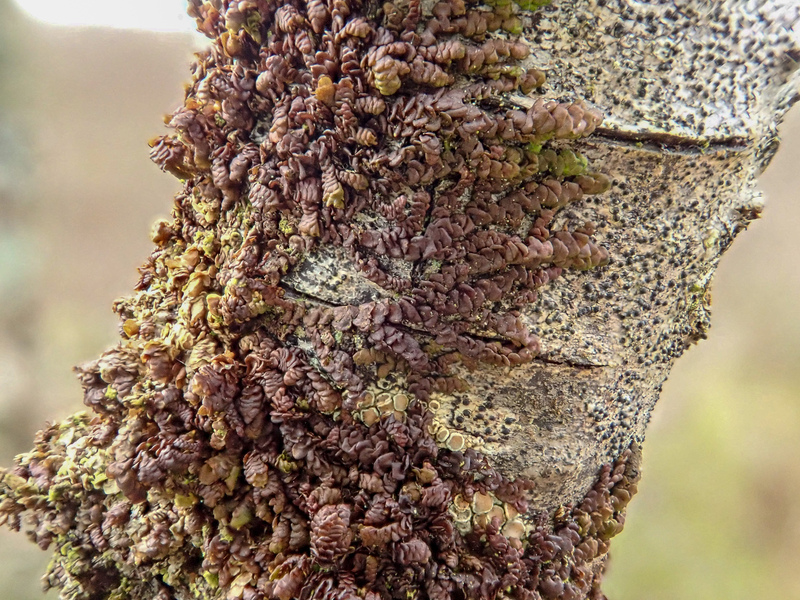 The moss’s spore-carrying structure is the rust colored blob in the photo above. When I noticed it in Clara Bog, I was excited because I hadn’t seen that sort of reproductive structure on a moss yet this year. That paper states that sphagnum moss relies on wind to disperse spores, which works better for plants that can grower higher into the air. Unless! 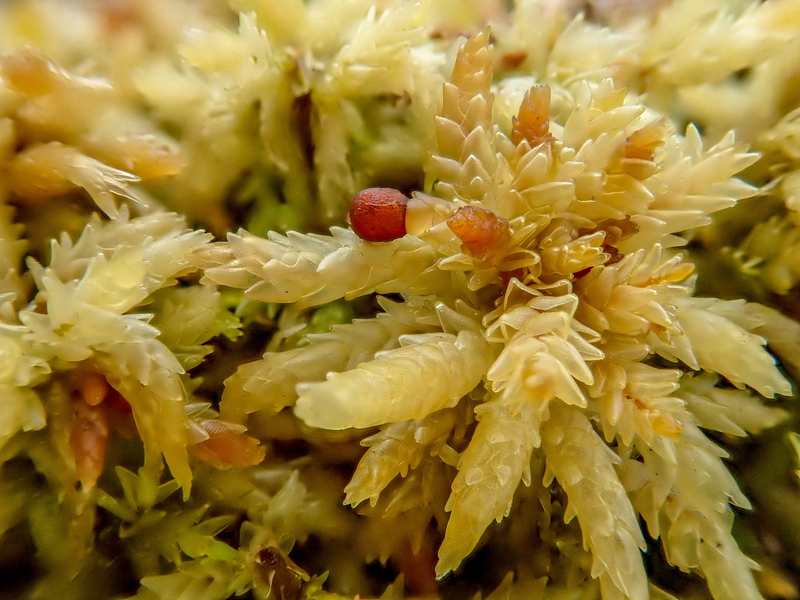 Unless, you, as a sphagnum moss, can launch the spores into a skyward vortex. 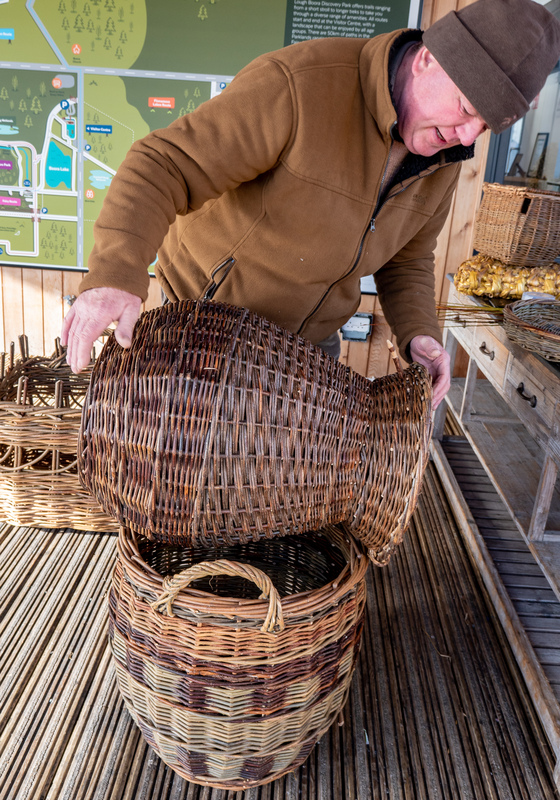 I spent today in the energetic presence of Irish basketmaker Padraig Larkin who lives in Cloghan, Co. Offaly and weaves in traditional Irish styles. 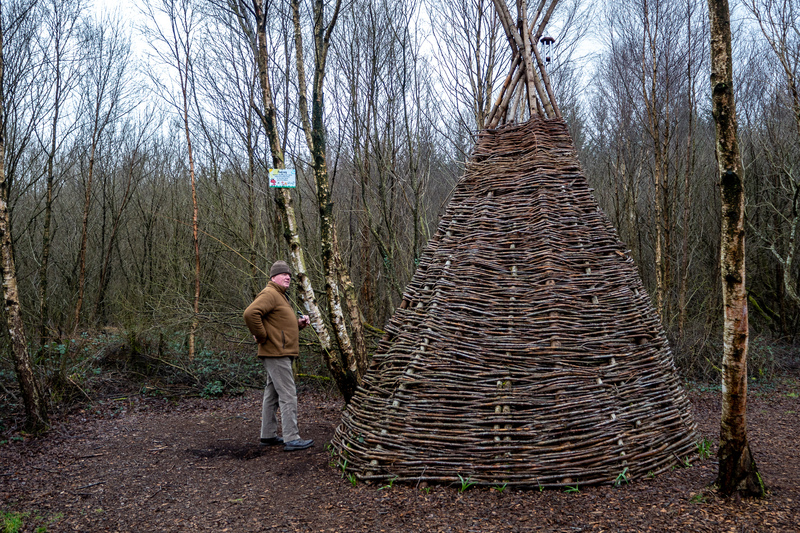 He also takes a playful approach to the craft for his other role, weaving fairy of Lough Boora Discovery Park. In the photo above, Padraig stands over a couple of his creations. The bottom basket is a style used to hold sods of turf, harvested and dried from the bog for fuel. The top basket is a type that would’ve been placed into a river and used to catch eels. It has an open, funnel-shaped bottom. 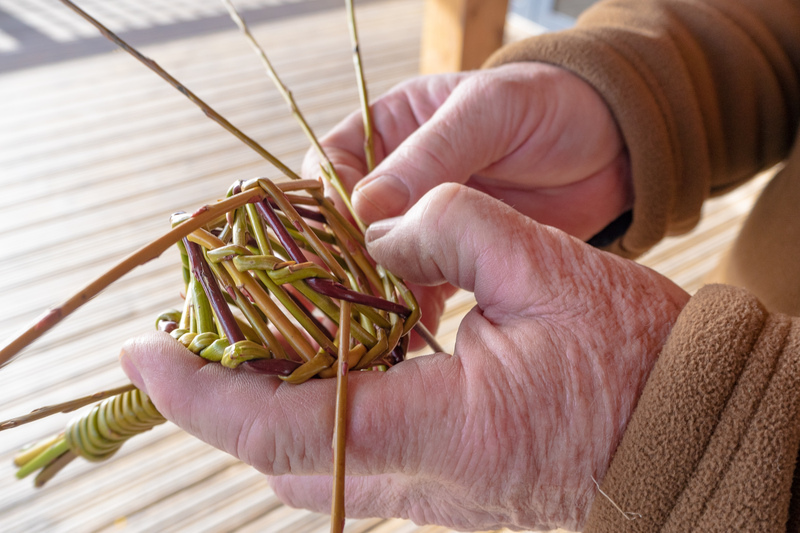 Padraig weaves with willow, which can range in color from dark green to bright gold, rich red to smokey purple. In the harvested-bog-turned-recreation-area Lough Boora Discovery Park where we met up, he is the architect of several playful structures for kids and adults to encounter. Tunnels, a fairy ring, and a maze are among the living, woven places he has added to the fairy-themed area of the park. Below he is standing next to last year’s installation, which is in honor of the donation made in 1847 by the Native American Choctaw People for famine relief in Ireland. 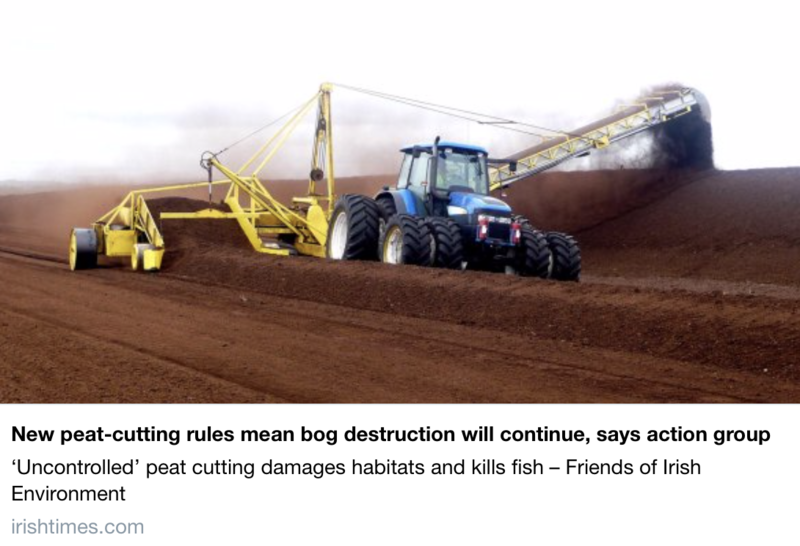 Irish bogs made headlines again this week as Irish government officials moved to exempt peat extractors from planning oversight. 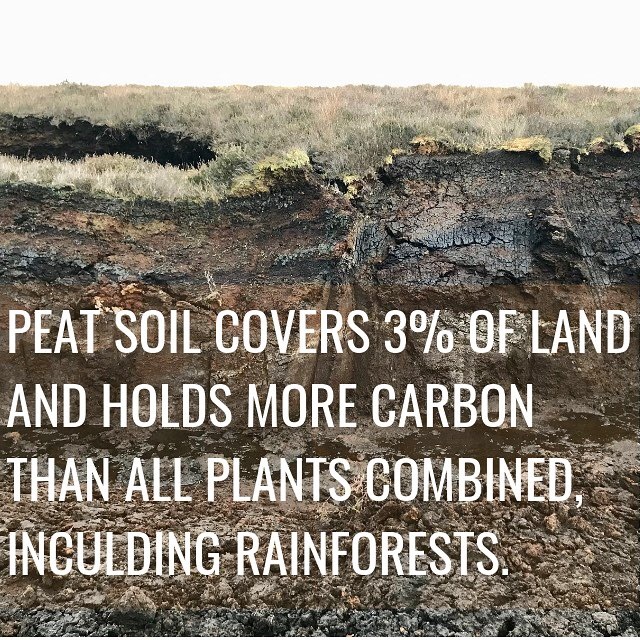 Peat covers one-fifth of Irish land and has been heavily targeted for drainage, extraction and/or land use conversion. Currently, less than 15 percent of Irish peatlands are in good ecological condition. People who would prefer to see remaining peatlands protected have reacted with dismay to this new exemption for peat extractors. What does it feel like to walk on a bog? With peat covering one-fifth of Irish soil, a visit to Ireland really isn’t complete without experiencing a bog. A bog is more than 90% water and stepping out onto a bog might be the closest you ever come to performing that saintly miracle to walk on water. With each step, saturated mosses allow your boots (you should definitely be wearing rubber boots) to sink into the surface. 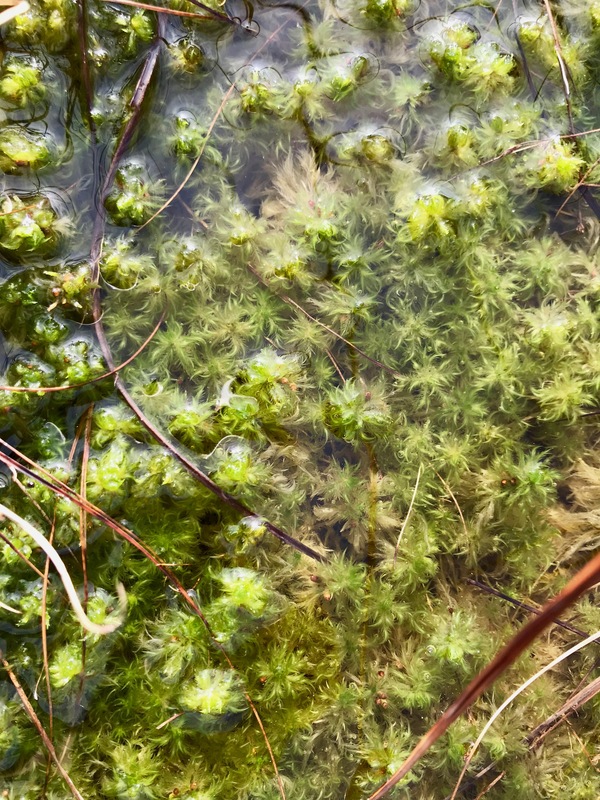 The squishiness is due to a water table that is nearly at the surface, and nature of sphagnum mosses. Sphagnum mosses are a key component of the bog’s ecosystem, and you are stepping into a thick, deep blanket of those mosses as you explore. 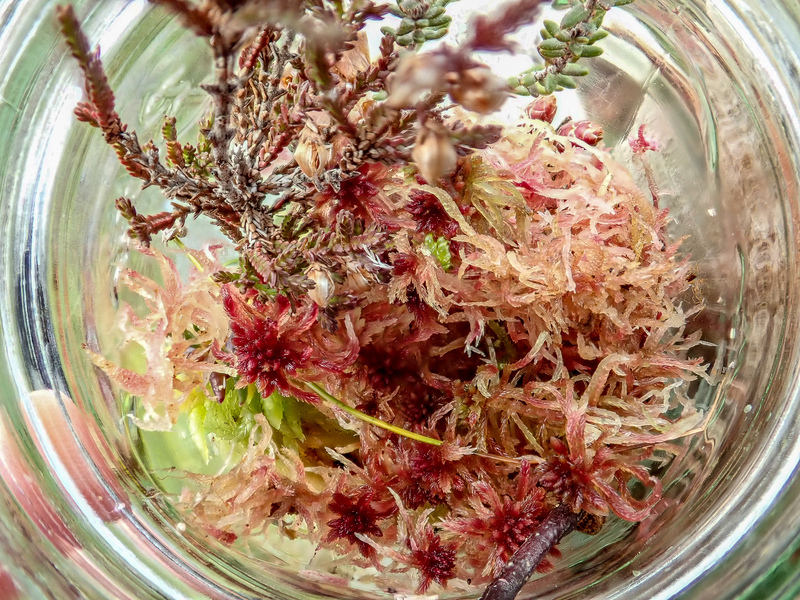 Some sphagnum moss can hold twenty times its own weight in water. Though it is a curious and unique experience to travel across a bog’s sponge-like terrain, walking on a bog can actually pose danger, given the likelihood of sinking in deeper than you might have desired. Be careful if you choose to explore. 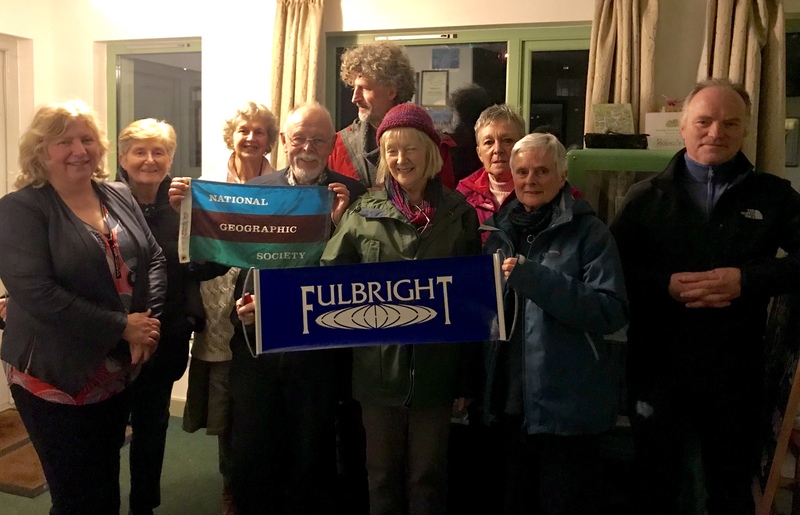 Photographer and fellow Fulbright-National Geographic Digital Storyteller Jen Guyton joined me for a week in Ireland to help with this research project. 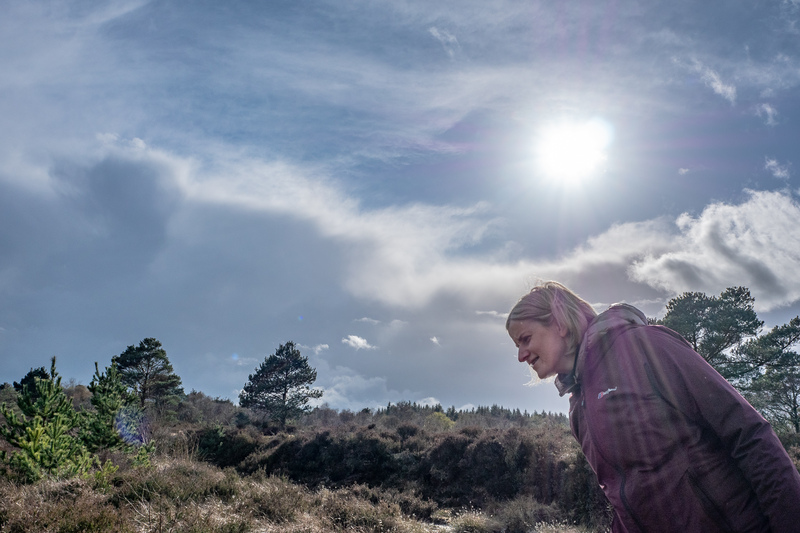 Here is Jen describing her experience walking atop Irish bogs. 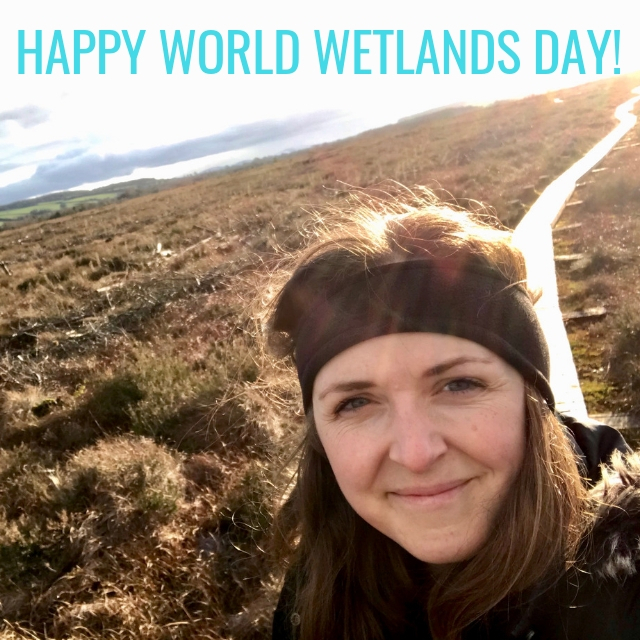 My two-part celebration of World Wetlands Day today in Ireland involved first joining the Community Wetlands Forum for an event titled “Wetlands: Working Together & Sharing Knowledge” in Tyrrellspass Castle, County Westmeath. Then, I went south to County Tipperary to explore a lightly frozen Scohaboy Bog near Cloughjordan. 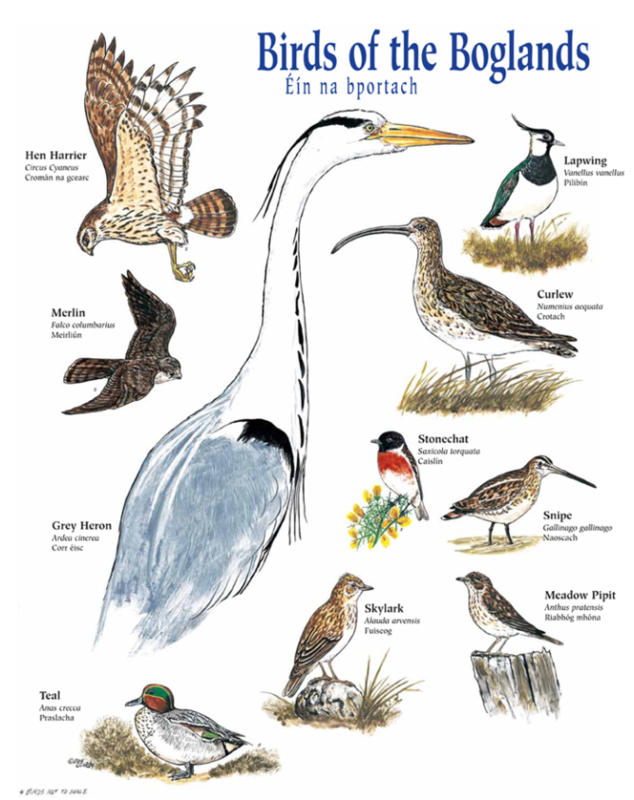 Today is World Wetlands Day. 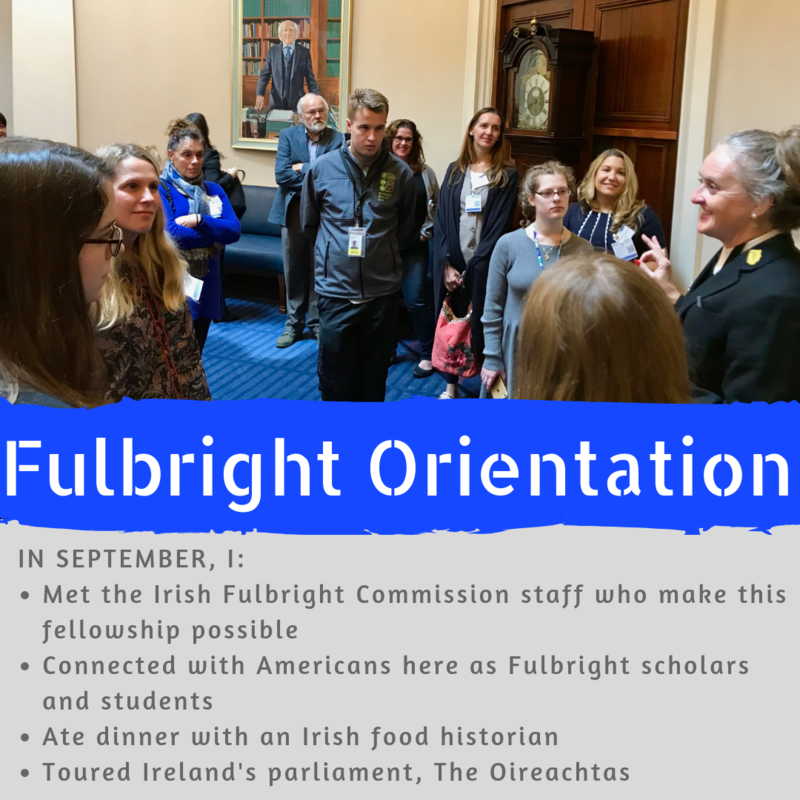 For me, this Fulbright-National Geographic year has been a nonstop exploration of one type of the world’s valuable wetlands, peatlands in Ireland. 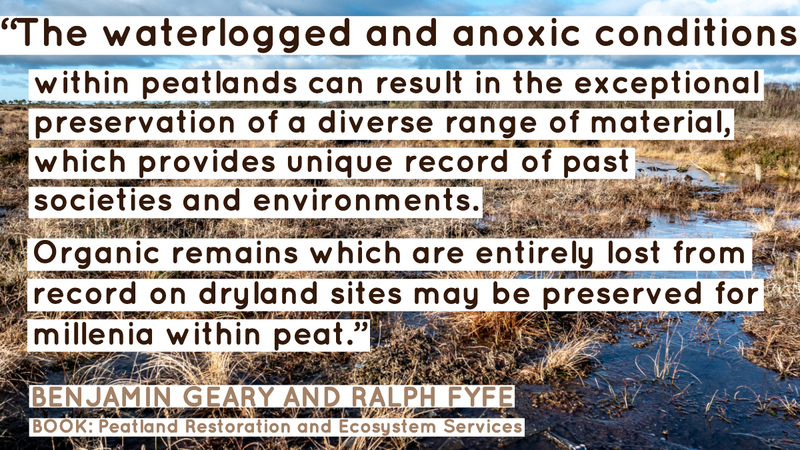 I am learning about Irish bogs and fens in part because of the special soil that is central to the definition of peatland: waterlogged, carbon-rich peat. If there is one fact I want to share on #WorldWetlandsDay, it is that though peat soil only covers 3% of our land, it holds more carbon than all rainforests. In fact, it holds as much carbon as all plants everywhere on the planet. Peatlands have a major role to play in regulating the carbon in our atmosphere. Protecting the natural function of peatlands is also important for communities because they reduce flood risk by soaking up huge volumes of water when needed. 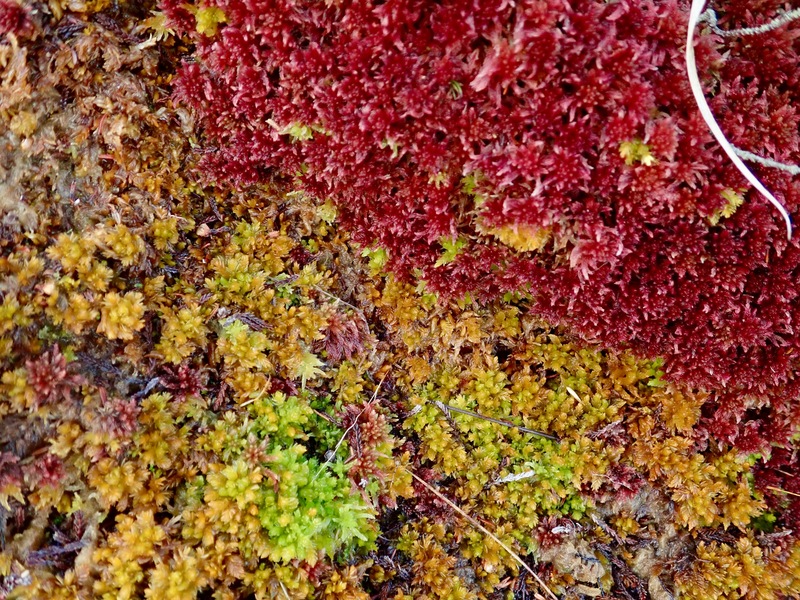 And of course, there are very unique plants and organisms that can only survive in the special conditions of different peatlands like Irish raised bogs. 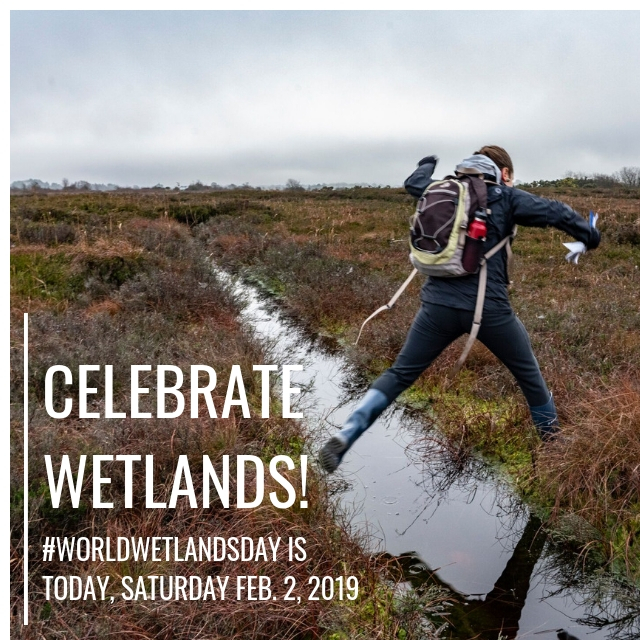 Despite their value, wetlands need a day of celebration because in many places they are seen as places that need to be drained and “developed” in order to be useful for humans. I’m happy to know that tomorrow people all over the world will be visiting and valuing the wetlands in their communities. 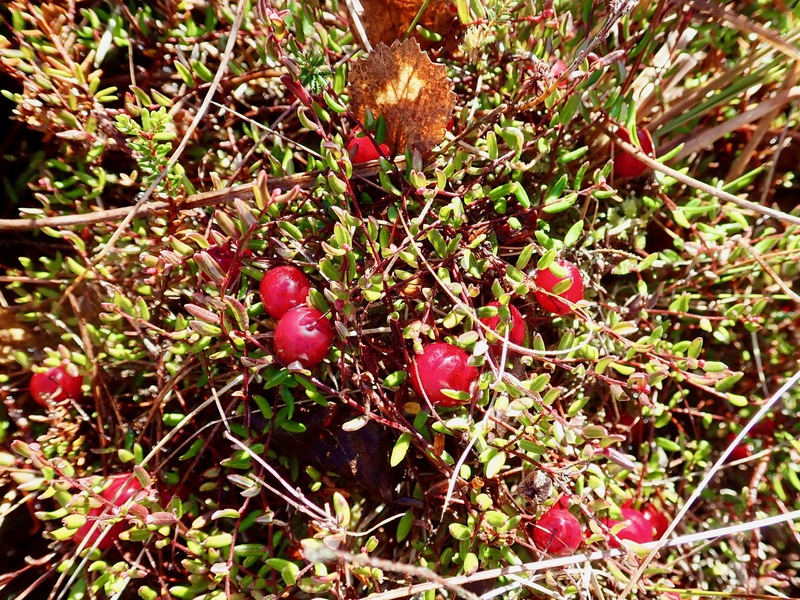 Bogs are rich places that contain many things--butter and butterflies, carbon and cranberries, history and habitat, mosses and myths. 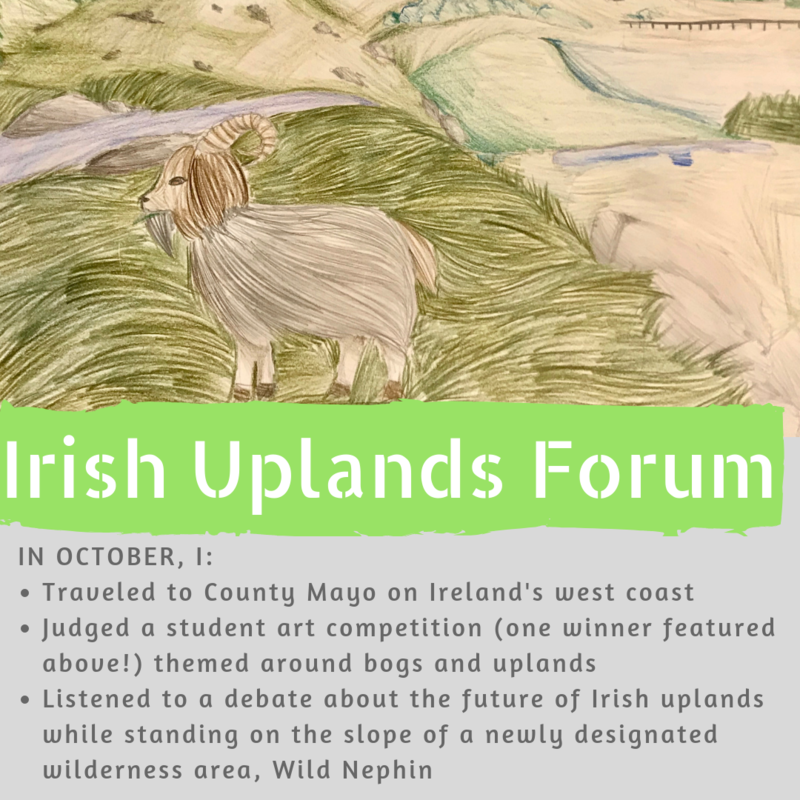 And within Irish bogs, I have discovered connections to many creative, deep thinking and adventurous people that I am excited to introduce here on this blog. I look forward to sharing their stories with you. Please leave ideas in the comment section for other bog folk I should meet, or let me know if there is something about bogs that peaks your curiosity. You can also tweet ideas to me at @eetoner. Thanks! 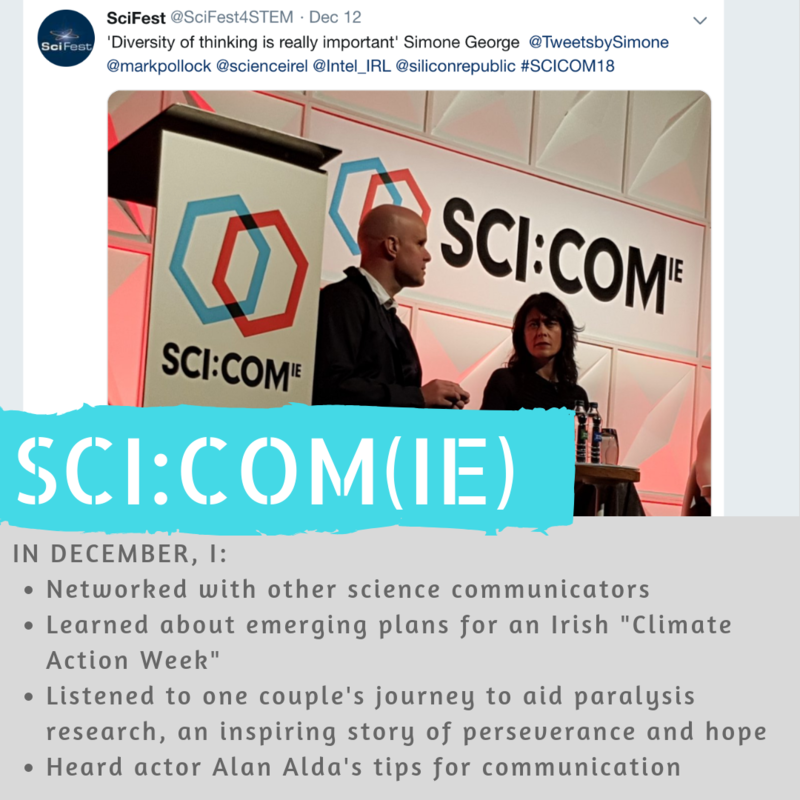 One of the most important parts of my research in Ireland over the last three months has been taking advantage of meetings and conferences where I can meet people with intersecting interests in bogs, science communication, Irish culture, and climate change among other topics. I attended several such gatherings and as a result, was bequeathed a collection of bags. Thinking back on those experiences, here are a few of my highlights. Lichens are a fascinating part of our world. 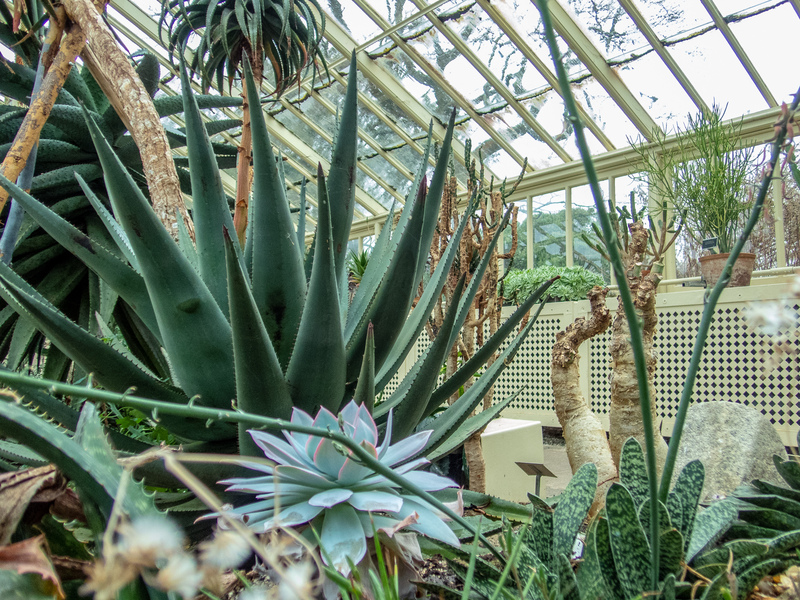 With more than 13,500 species, they come in many colors and textures from scaley, mint-green flakes on tree bark to smooth, bright red bulbs rearing from mossy rocks. 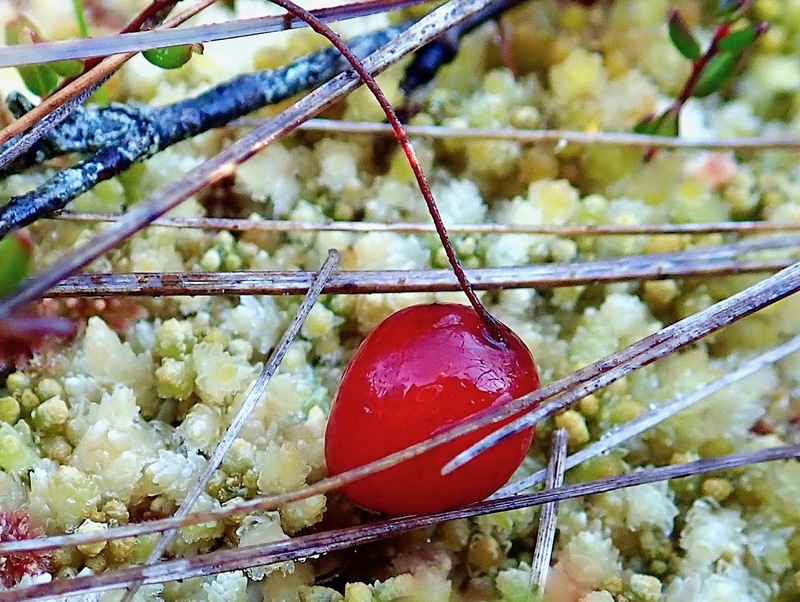 Reindeer, matchsticks, peppermint drops and trumpets are common names for a few of the lichens that have caught my eye walking in Irish bogs these last three months. 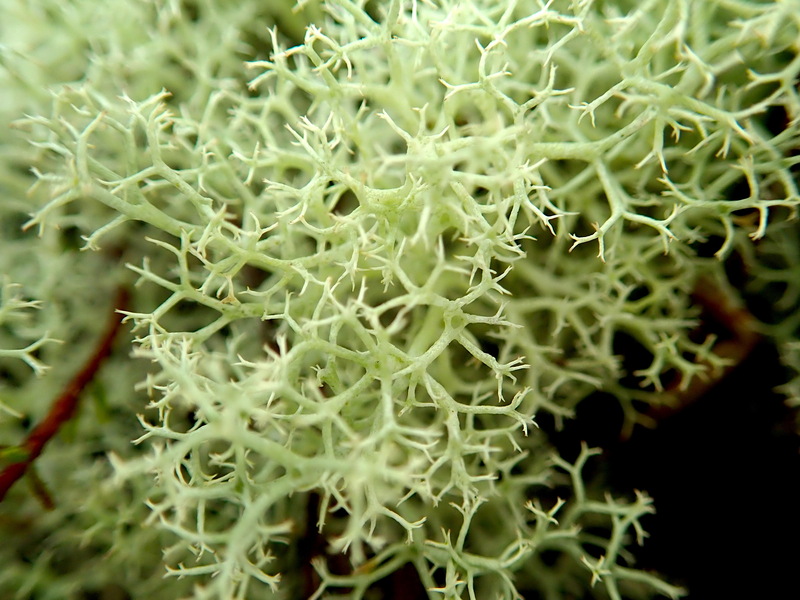 Lichens are the product of a fungus-algae relationship, requiring both partners to exist. What does each one contribute to the lichen? 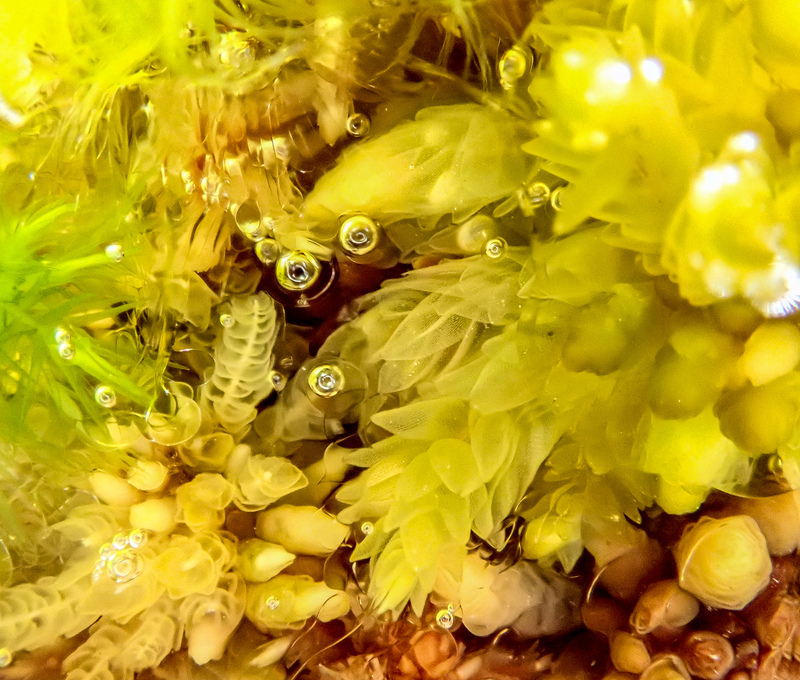 The algae can photosynthesize, using light to form carbohydrates that the fungus can eat. 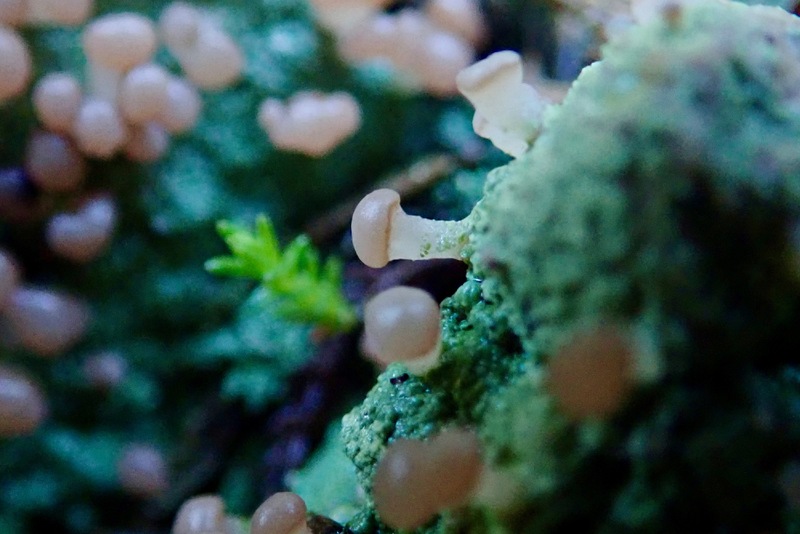 The fungi provides the needed water, absorbing it from the air. They help each other in other ways, too, but that is the basic swap they are making. 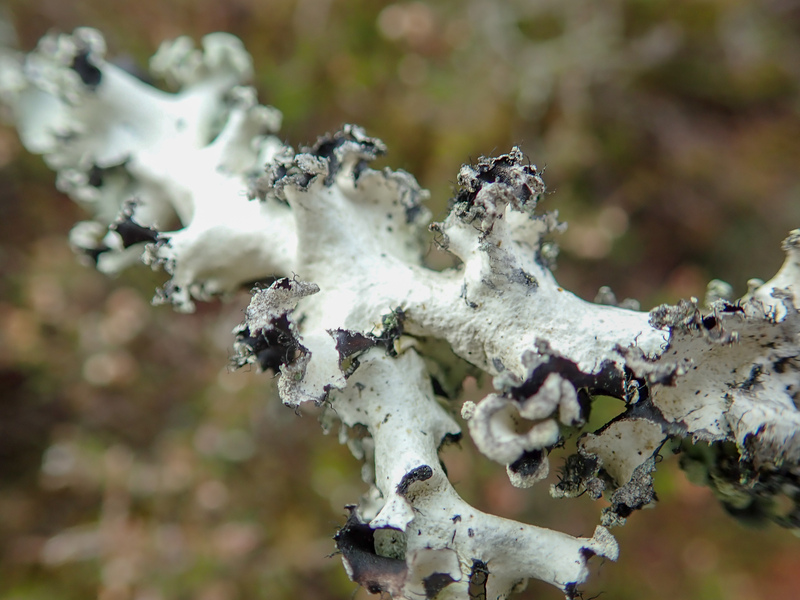 Excerpt from the article: “What I saw was white broken bits of lichen, like dead bones,” recalls Sutton, a professor at the Centre for Ecology and Hydrology in Edinburgh. “It was a really dramatic death. In one part of the bog almost all the sphagnum moss was dead. 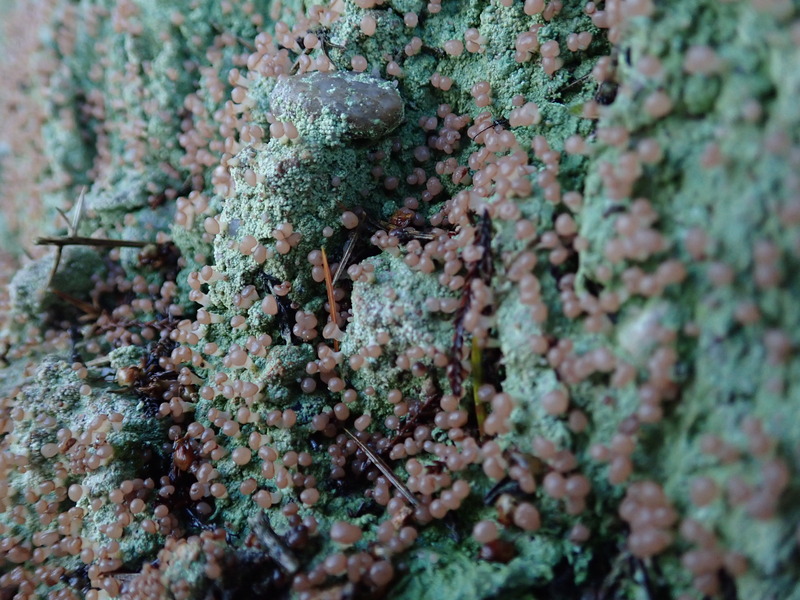 The site was hammered.” The rich diversity of lichens lay dead, replaced by a sick gloop of slimy algae. The cause of this degradation soon became clear: ammonia gas. 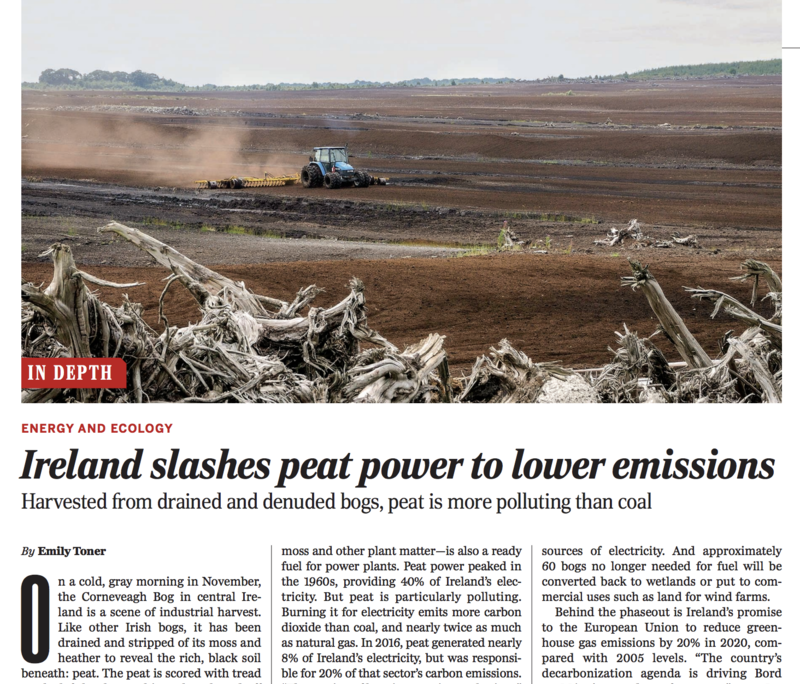 This week, I published a news story in Science Magazine describing Ireland’s move away from peat-powered electricity. 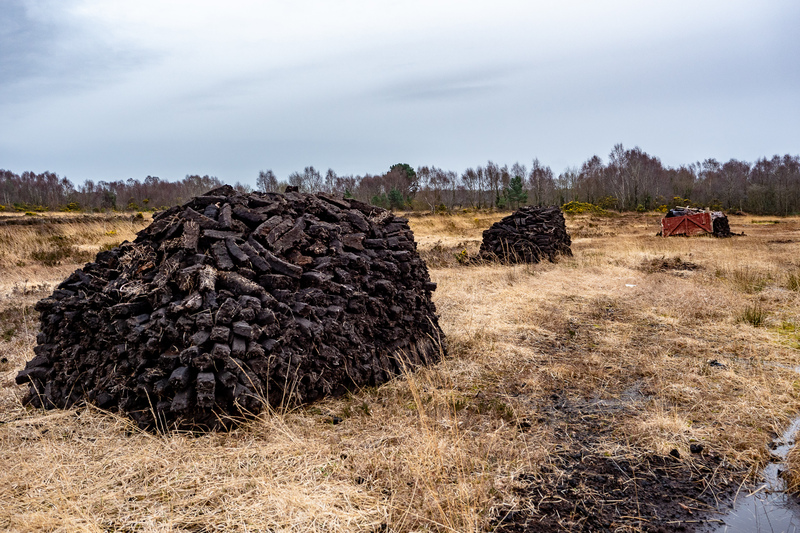 Peat, harvested from bogs, has been burned for warmth and cooking in Ireland for centuries. Since 1950, it has also fueled power stations. 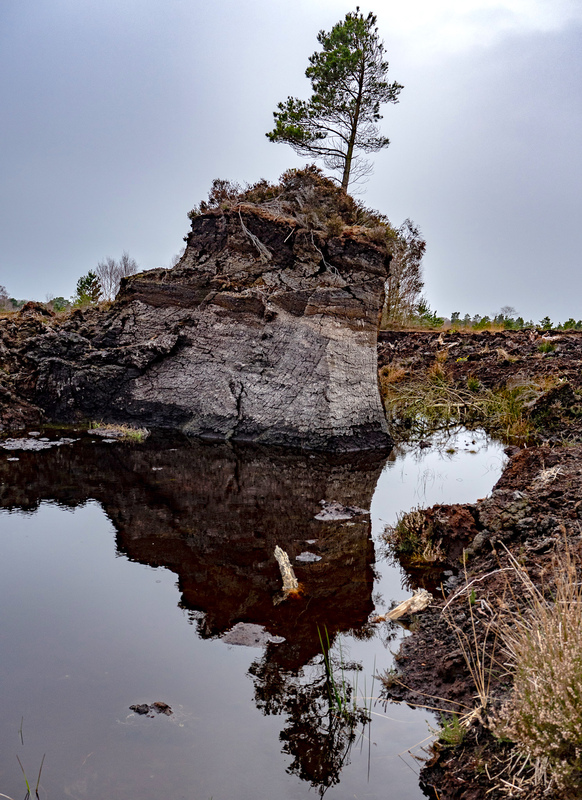 Ireland currently burns millions of tons of peat each year for electricity generation, but each megawatt hour of electricity from peat releases more carbon into the atmosphere than burning other fossil fuels including coal. Did you know that peat is a fossil fuel? A fossil fuel is a carbon-based material formed from the remains of plants and animals over a long period of time. Better known fossil fuels include coal, natural gas and petroleum, but the list also includes the material forming in bogs, peat. Peat forms as plants grow and die in a bog. But what makes a bog different is that, because of wet conditions, what dies in a bog does not fully decompose. 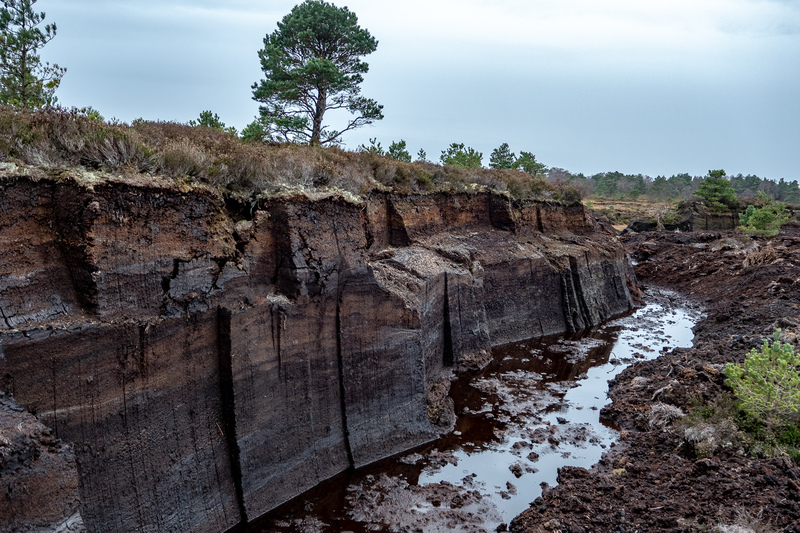 As thousands of years of undecomposed plants accumulate, that deep, black peat layer holds a lot of carbon. Approximately 1 millimeter of peat is added to an actively growing bog each year, so it takes 1,000 years for a meter-thick layer to form. Peat is actually the precursor to coal. 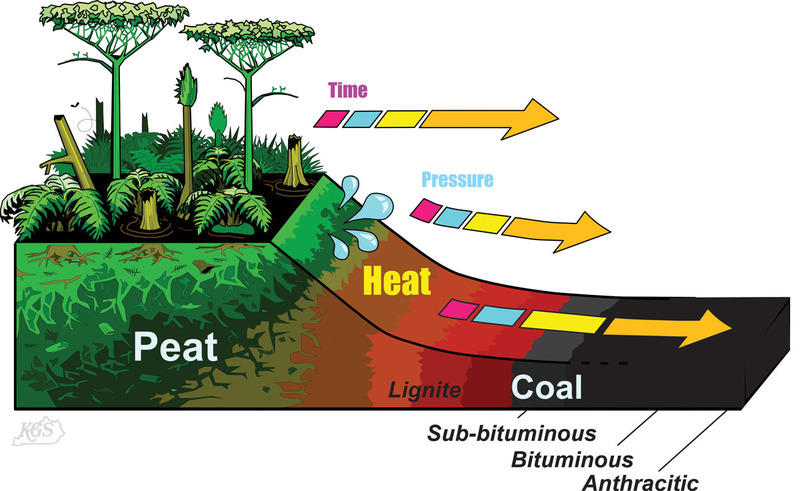 If submerged underground for 250 million years or more, peat would transform into coal. In Ireland, which doesn’t have coal or oil deposits, peat is the most plentiful fossil fuel in the country. Peat is cut from the bog, dried, and burned as a source of fuel, both in homes and also at an industrial scale for power generation. When I am hiking in Ireland, I often encounter a bog. A colleague was surprised to learn that there can be bogs on top of a hills, ridges or mountains, but there are many like that in Ireland. Ireland has a type of bog called a “blanket bog,” which specifically forms in hilly and mountainous landscapes. I found this blanket bog on the Ridge of Capard while hiking in the Slieve Bloom Mountains last weekend. To see more images from that beautiful hike, and other Irish adventures, check out my Instagram account. When an Irish person asks what brought me to Ireland for nine months and hears my answer--“peat bogs”--I often receive confused looks. Usually, I think they have misunderstood what I said, so I repeat, “Bogs, you know, peat soil, turf...?” And then, they reassure me that they understood what I said. The confused looks, it turns out, are normally because they just have no idea why I would be so interested. It is my turn to be surprised because I see so many reasons to be fascinated by their bogs: the vast amounts of carbon (1.5 billion tons) stored in Irish peatlands, the incredible 21% of Ireland covered in peat soil, the unique way that bogs have shaped Irish culture and identity, and the feeling of exploration and delight when I get to walk through a bog. 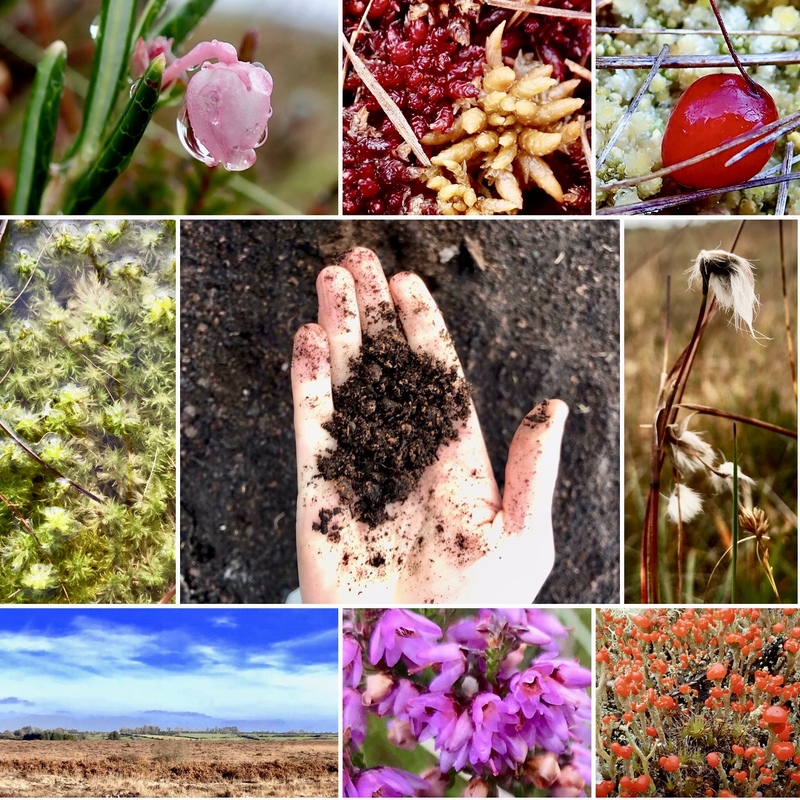 I thought the range of colors in a bog might be surprising to some, so I am posting a sample of photos, in order of the rainbow, that I’ve noticed in my first ten bogs visits since I arrived in September. 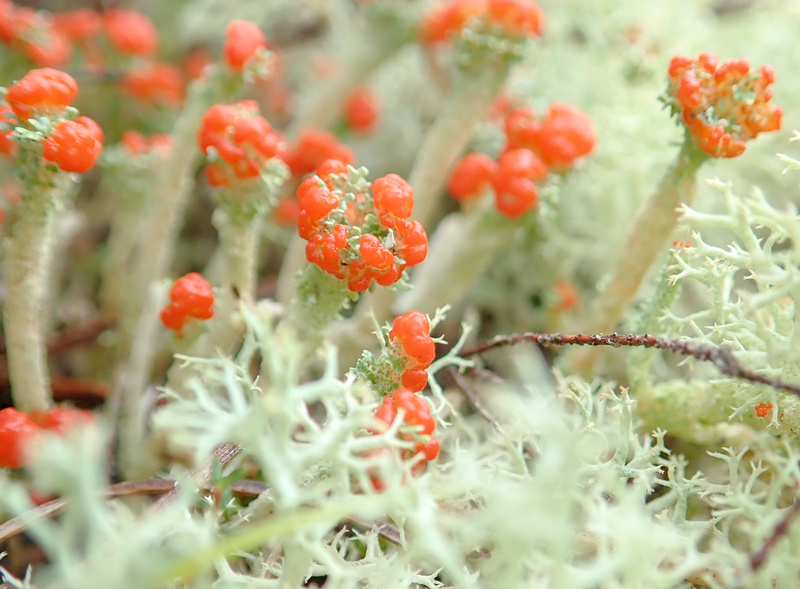 Photo credit: Emily Toner Matchstick lichen (Cladonia genus) I spotted in Mongan Bog, County Offaly. 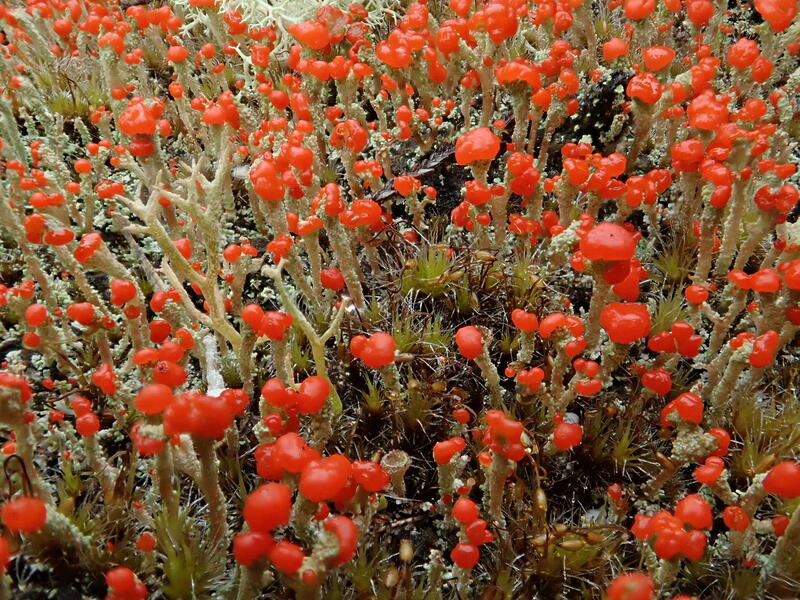 Photo credit: Emily Toner Different sphagnum mosses grow best in different moisture conditions. This bright green moss, Sphagnum cuspidatum, pictured above grows in the wettest places in bogs, like bog pools or blocked drains. 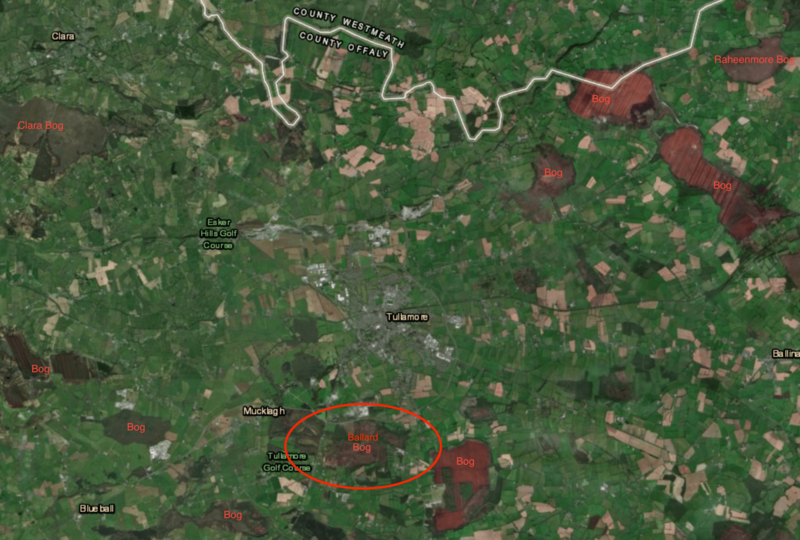 You can see it filling in a wet area in Clara Bog, County Offaly below. Is it cheating to count the sky as part of the bog? I don’t think so, especially given the importance of rainfall to the existence of a bog. There are some big skies to see over Irish bogs, since they provide a wide horizon, like this one I saw over Kilsallagh Bog, County Galway. 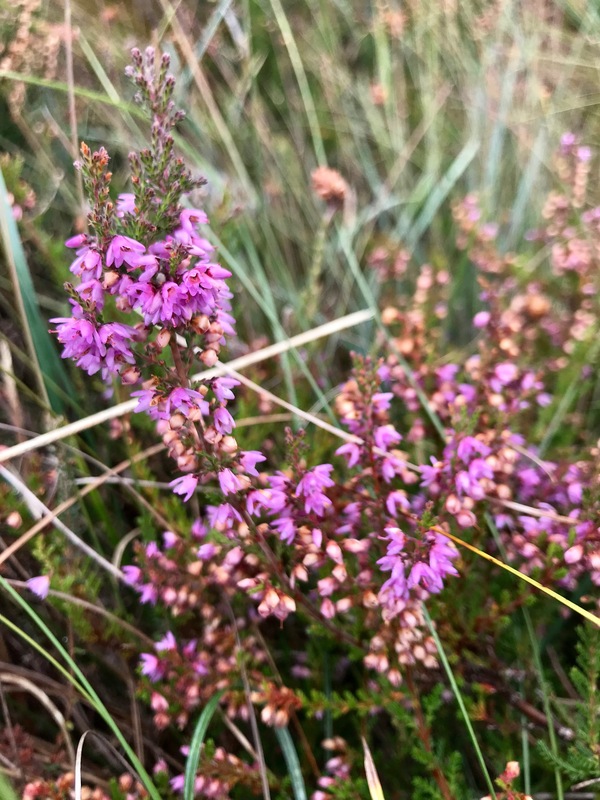 Ling heather (Calluna vulgaris), a common bog plant, in Clara Bog in September. 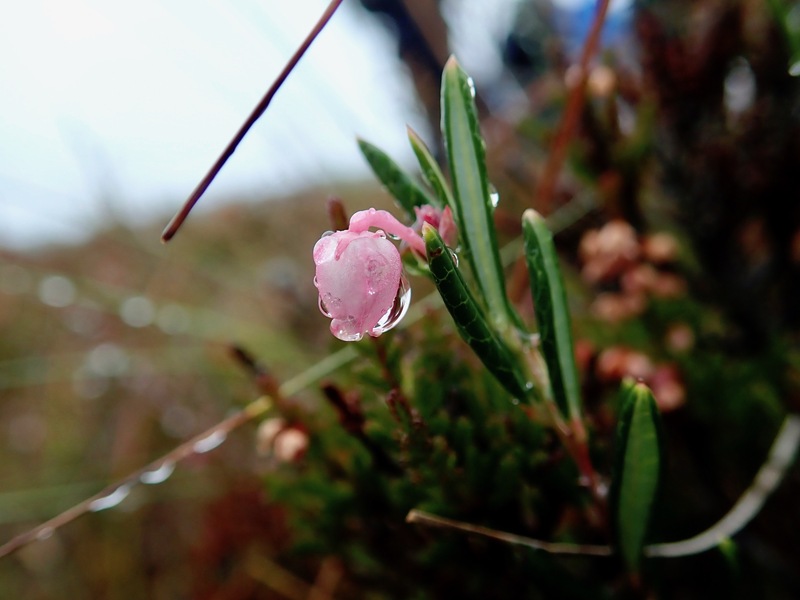 Photo credit: Emily Toner Bog-rosemary (Andromeda polifolia) flowering on Mongan Bog, County Offaly. 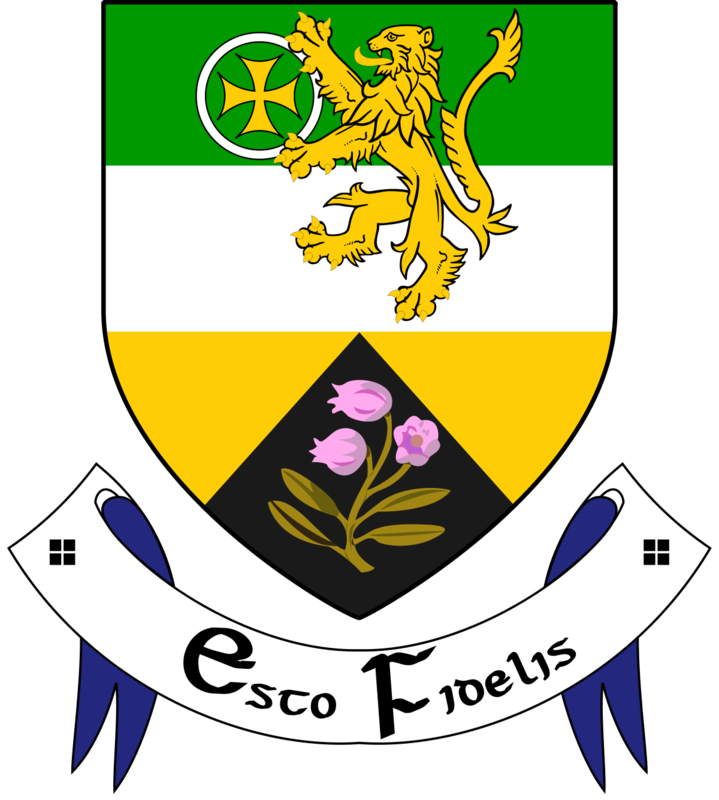 The lovely pink flower is featured on the crest of County Offaly, where I am based during this project. 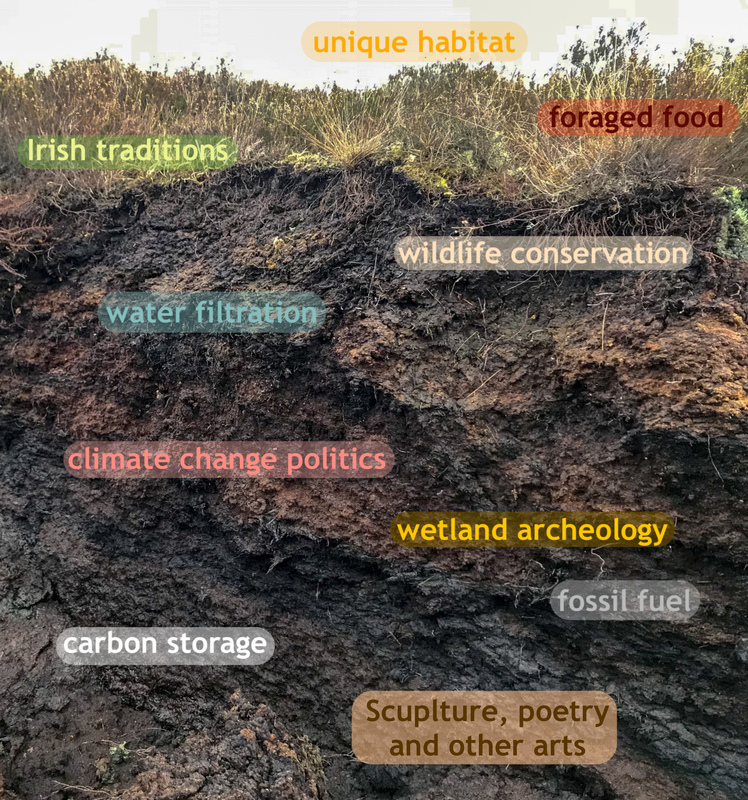 When I say I am in Ireland researching peat bogs, often one of the first questions that emerges in a conversation is: so, what exactly is a bog? It’s not that people have never heard of a bog, it’s just that, like most things, when you really stop to think about something, it can be hard to come up with a definition. A bog is a specific type of place, one that is rich, wet, dark, colorful and special because of the precise characteristics that define it. A bog is a type of ecosystem nested within wetland and peatland definitions. All bogs are wetlands. The defining characteristic of a wetland is, you guessed it, that it is wet. The water table is at or near the surface and the ground is saturated much of the time. Marshes, swamps, mires, bogs and fens are all types of wetlands. 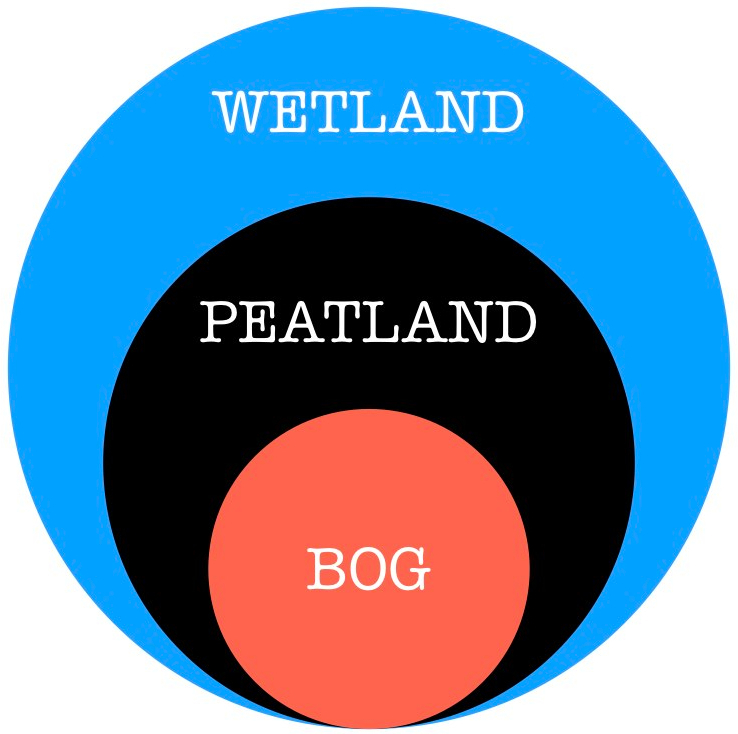 All bogs are also peatlands. A peatland is a type of wetland where a rich, organic soil has built up over time. The organic soil is a result of the wet conditions where plants grow and die but do not fully decompose. Whereas a normal soil might have 5% or less organic matter, a peat soil has 30% or more. 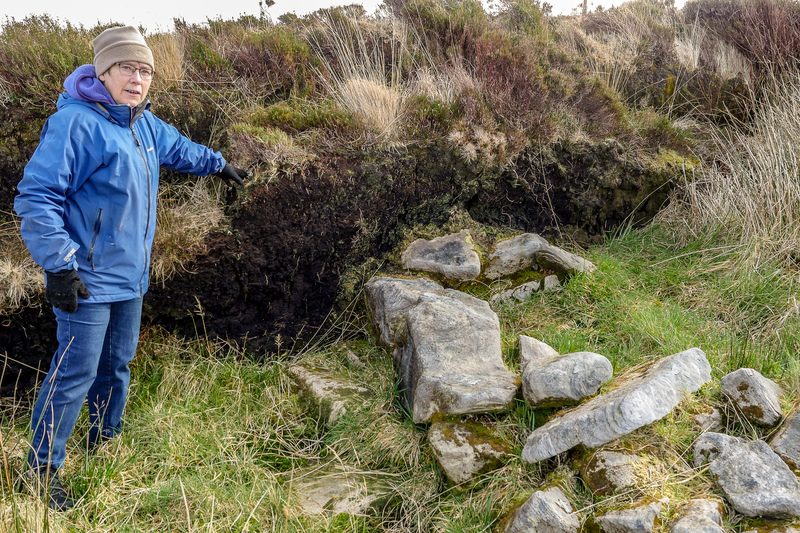 In Ireland, that layer of wet organic soil has to be at least 30 centimeters thick in order be considered a peatland. In the United States system of soil classification, peat soil falls into the category of histosol which is defined by plant material accumulating faster than it can decay resulting in a high percentage of organic matter. A bog is a wetland and a peatland, but it has another key feature that makes it even more specific: its only source of water is rain. It might seem like most places in nature receive water only from rain, but many actually use water that is flowing underground through the soil, or groundwater. Groundwater picks up a lot of nutrients along the way, which plants can use to grow. A bog only receives water from the sky, which is naturally very low in nutrients. 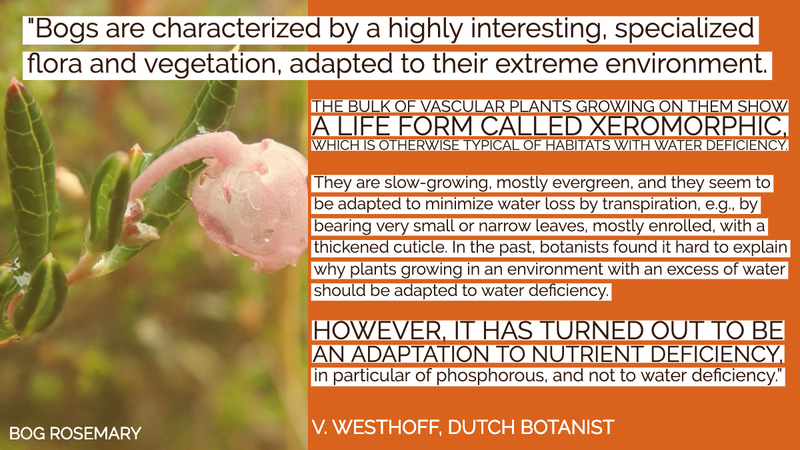 That means that plants growing in a bog have to be able to survive very wet conditions with very few nutrients and, to make things even tougher, the conditions are acidic as well. So, what is a bog? It is a wet place with deep organic peat soil that only receives water from rain. Peatlands cover a relatively small percentage of land around the world, 3 percent, and within that bogs are only a fraction of peatlands. 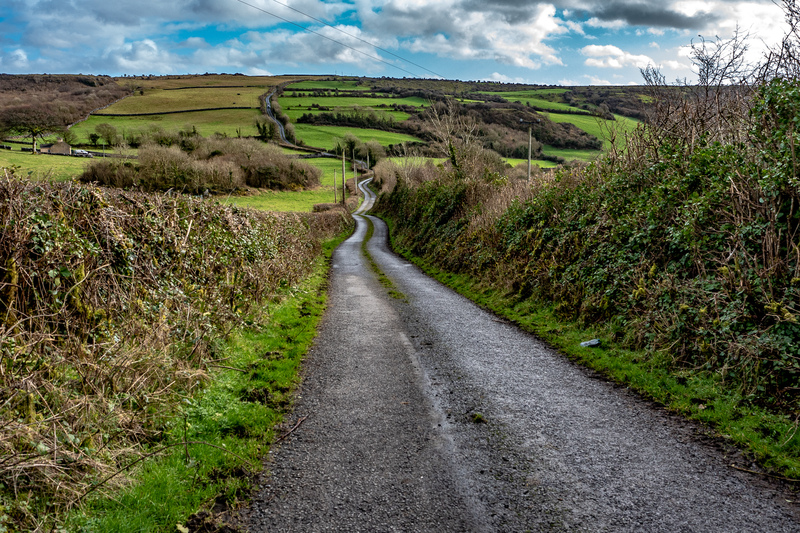 In Ireland, peat soils cover an unusually high percentage of land, 21 percent, and prior to wide-scale draining, Ireland had 1.1 million hectares, or 2.7 million acres, of bog. 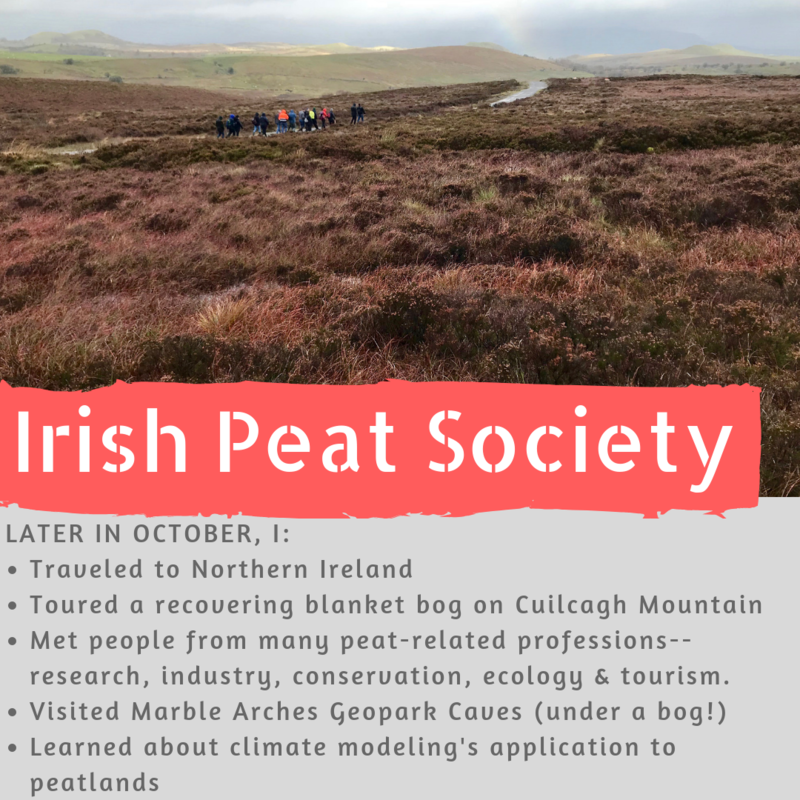 The prominence of peat in Ireland is what drew me here to learn about how bogs have shaped what it means to be Irish and how the Irish are reshaping the bogs. 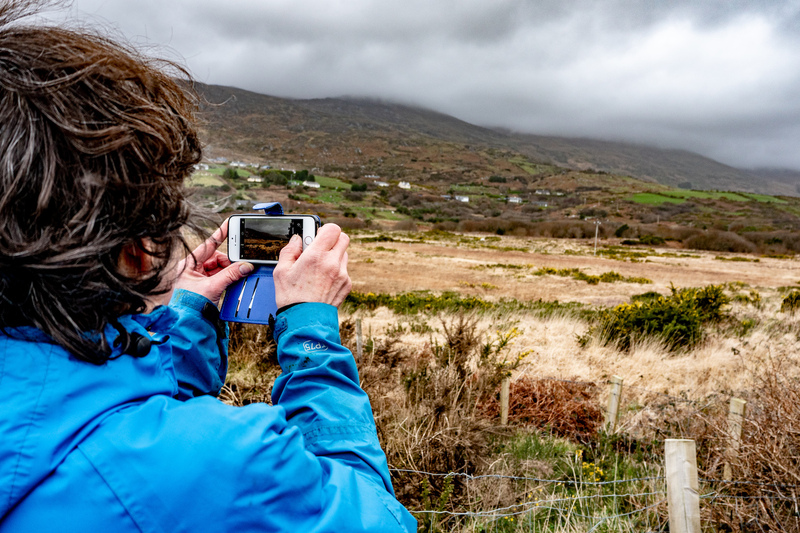 You can see footage of bogs and learn more about the Irish relationship to them from an Irish program called Eco Eye. Where does preparation end and the expedition begin? When exploring meant boarding a ship and sailing away from home for several months, or mounting a horse and riding into unknown territory, preparation may have ended as you left home. That might have been the point after which, you were simply using supplies, not continuing to add to them. I remember feeling like an explorer of centuries past when I boarded my first transatlantic flight to study abroad in Dublin in 2007. I thought that I needed everything in my suitcase that I was to use while I was there. But, it turns out, you can get almost everything you need once you arrive in Ireland. So, “preparing” is just a matter of deciding what you’d like to carry with you and why. All of this to say, preparation continues on this side of the Atlantic Ocean now that I am here in Ireland. My first week was spent gathering all of the new cards I will need here. SIM card--I am the proud owner of an Irish phone number. Leap card--the faster, cheaper way to pay for public transportation in Dublin. University College Dublin ID card--I was surprised to see them print my visiting student ID with they photo they had on file from 2007.
Business cards--designed and ordered, looking forward to their arrival this week. 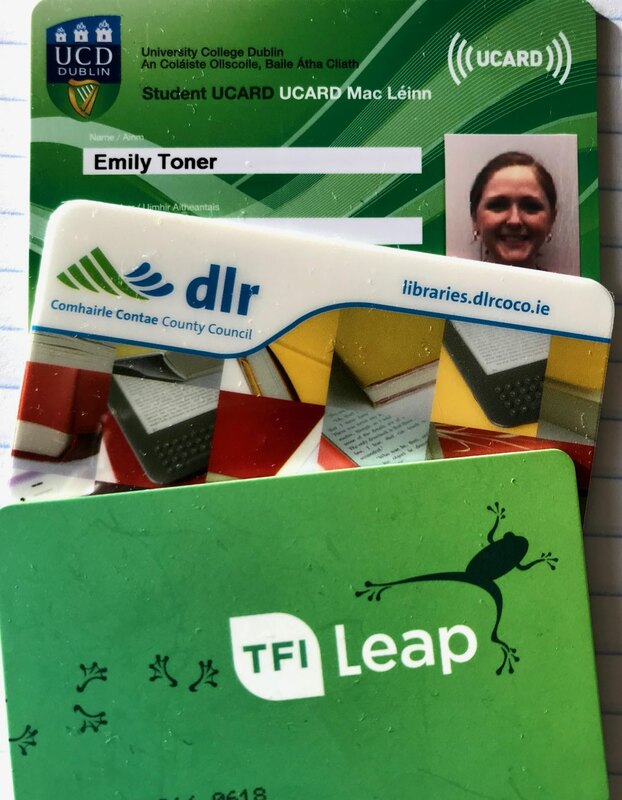 Dublin public library card--I’m not sure how much I will need this, but I have a love of libraries and consider every new library card in my wallet to be a stamp in my intellectual passport. 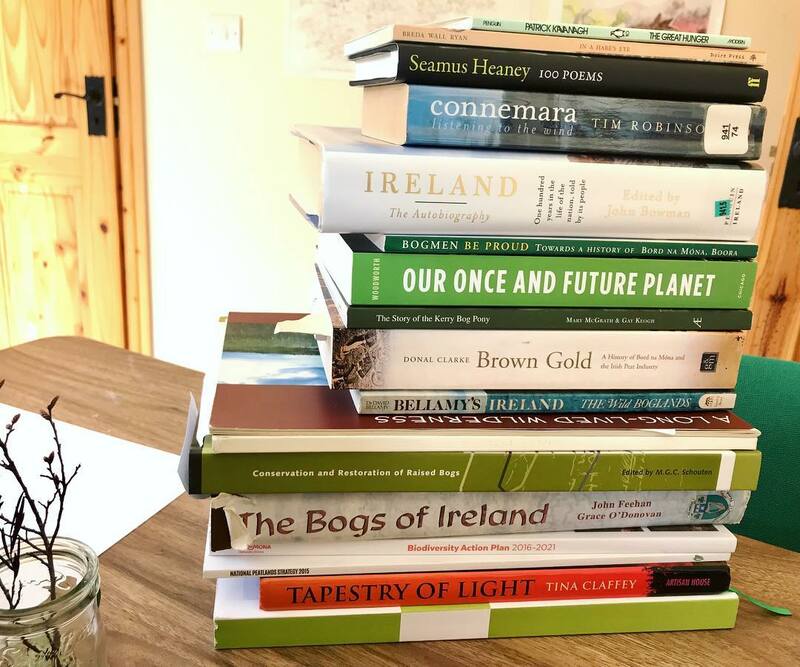 I leave for Ireland in one week and one of the big questions I keep asking myself is: how are you going to transport yourself to all of the bogs and people that you want to learn about? This project will wind into very rural places. I want to find myself on unmarked roads leading to lesser known bogs and easing down narrow driveways for tea with the families whose histories are linked to those places. So, a car will be a key tool while I’m there. A lot of the logistics for a car will happen in Ireland--acquiring one, insuring it, getting comfortable with the rules of the road. 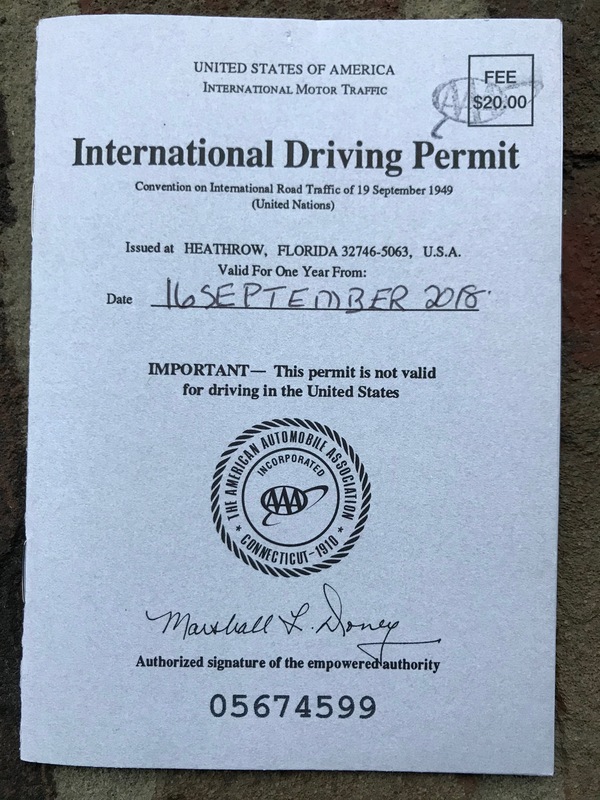 Taking a step in that direction, I was able to extend my Indiana driver’s license to an “International Driving Permit” through AAA. The stories I will research also tie directly into the policymaking, research and the energy industry, all of which will have a strong presence centered in Dublin. 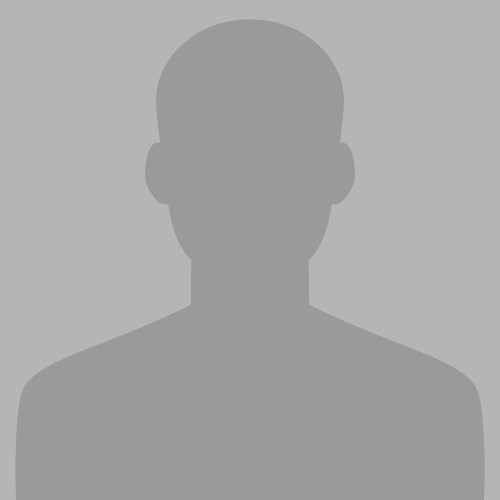 I want to be able to visit my affiliate, University College Dublin, and academic host professor Florence Renou-Wilson. 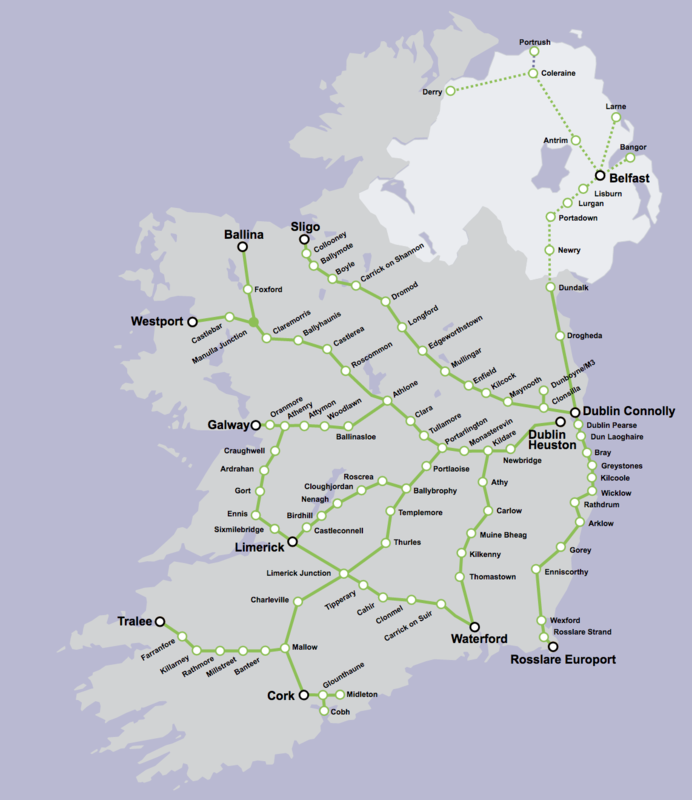 Staying connected to the urban hub of Ireland also seems important, which I would rather do via train than car. So, as I think about where to live, I want to it be on a main rail line, where I can use one of these stations. As someone who also likes to get around via bicycle, I have also been researching how to check my road bike in as luggage for my flight. I think it will involve a small amount of disassembly and copious amount of plastic wrapping. While I am in the preparation stage of my expedition, I am making decisions to provision for the trip while also trying to leave as much flexibility for things to unfold organically while I am in Ireland. Preparing for transportation is a good example of my strategy: prepare in a way that leaves as many options open as possible. My name is Emily Toner. 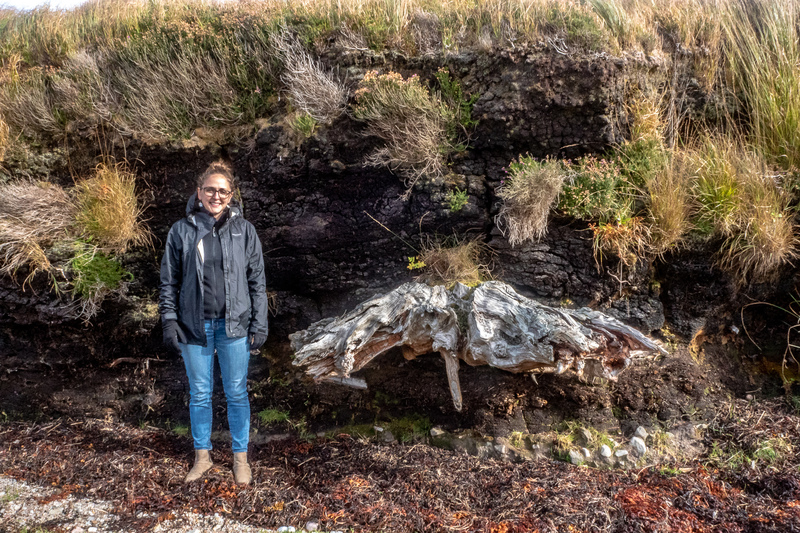 I am a 2018-2019 Fulbright-National Geographic Digital Storytelling Fellow and I am traveling to Ireland to share stories about the science, politics and culture of peat bogs. Peat bogs are environmentally and culturally rich spaces. Though covering only 3% of land globally, peatlands hold 25% of the world’s soil carbon. That is the carbon equivalent of half the carbon dioxide in our atmosphere, or three times the amount of carbon stored in tropical rainforests. 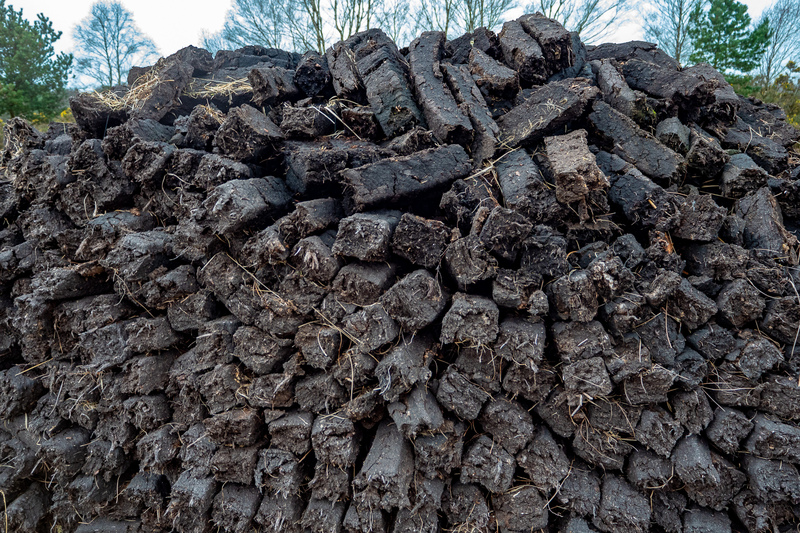 While in the ground, peat soil is a stable carbon reservoir. However, like many carbon-rich natural resources, countries harvest and burn peat as fuel, releasing its carbon back into our increasingly saturated atmosphere. Peat bogs cover 20% of Ireland and hold an iconic place in Ireland's collective identity. Bogs are also important for Ireland's energy economy because they offer a carbon-rich soil the Irish have burned as fuel for centuries. Burning peat was recently banned by the European Union and Irish government as strategy to mitigate climate change. 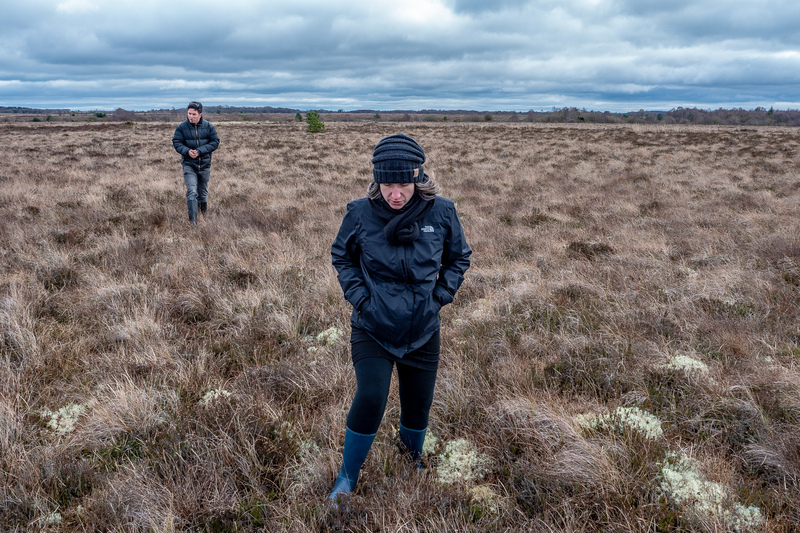 This project explores the changing Irish relationship to peatland, including stories about the science, politics and culture of Irish bogs. Image: Two men stacking blocks of peat soil in Ireland in the 1880s, a traditional way to dry the soil before burning in stoves and heaters. Credit: National Library of Ireland.